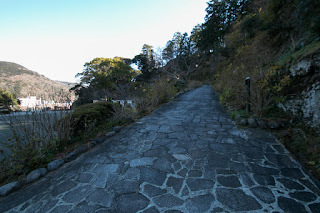 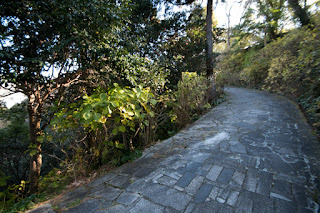 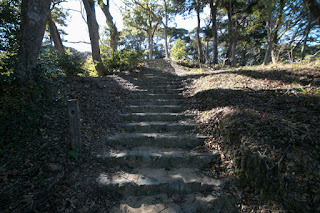 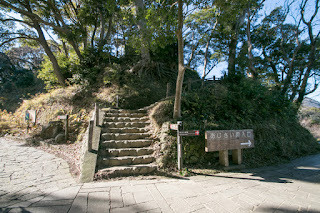 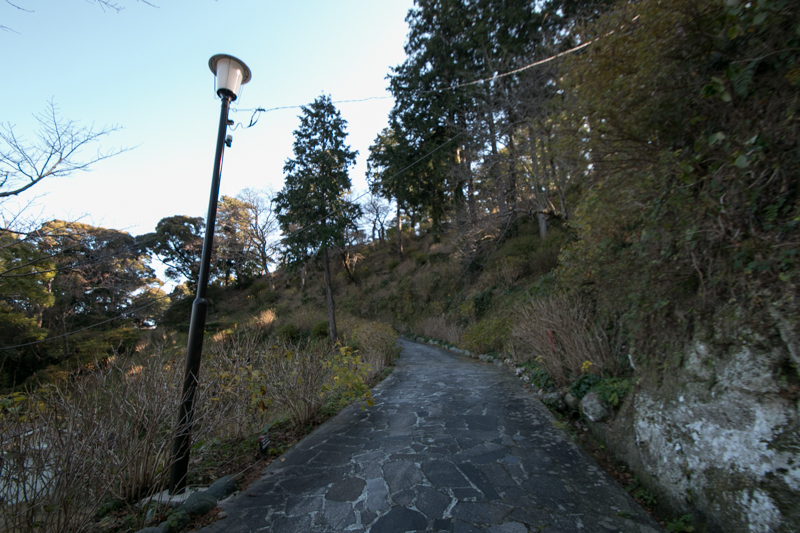 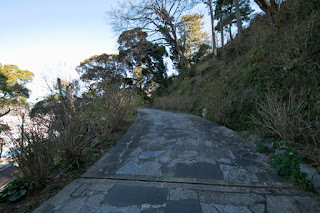 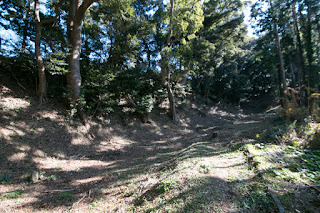 Shimoda castle is located over the east half of Shiroyama hill, one of about 70 meter height from hillside spreads over the south of current Shimoda city. Shimoda city is a one located at the river mouth of Inozawa river, and Shiroyama hill protrudes from the flat area along the river like a sea wall and has good coves suitable for anchoring ships. 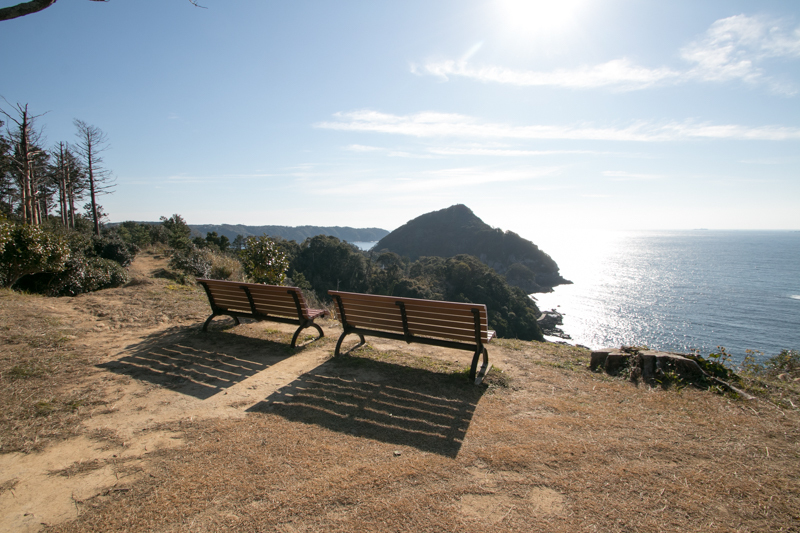 Shimoda area stands at the tip of Izu peninsula which prolongs over 60 kilometer and takes time to visit from mainland area. 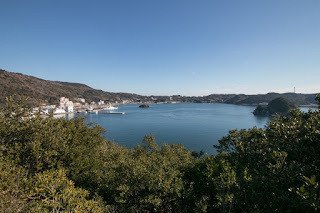 But from the viewpoint of marine transportation, it was a good connecting place of direct sailing routes passing Suruga bay from westward and Sagami bay toward east. Beside, Shimoda port also works as a hub of sea lines connecting Izu island, which nominally belongs to Tokyo metropolis but geographically near to Izu peninsula. 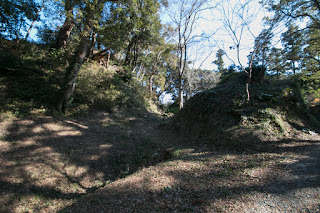 It is said that Shimoda castle was built by Hojo clan, the warlord of Sagami province (Kanagawa prefecture) and once captured most part of Kanto plain in 1588. 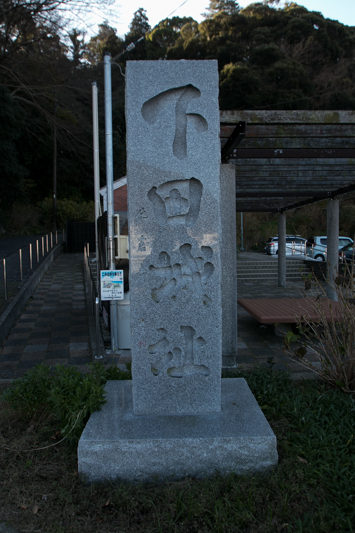 Hojo clan originally starts its history as a warlord from the root of Izu peninsula, and expanded eastward toward Sagami province. 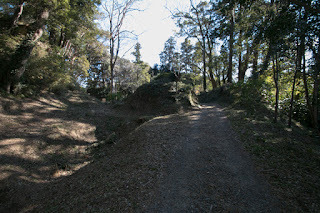 In the middle of 16th century, Hojo clan which captured current Tokyo and Kanagawa area fiercely struggled against Satomi clan, the warlord of Awa province (Chiba prefecture) both at land and sea. As both powers faced both side of narrow Uraga straight only had 10 kilometer width and Satomi clan had strong navy lead by their retainer Masaki clan, Hojo clan built their naval base Misaki castle at the tip of Miura peninsula. In 1570’s, utilizing internal conflict of Satomi clan, Hojo clan overwhelmed Satomi clan and virtually let them follow to Hojo clan. But on the other hand,.Takeda clan which was the warlord of Kai province (Yamanashi prefecture) and former ally of Hojo clan proceeded into Suruga province (Shizuoka prefecture) rejecting the support of Hojo clan to former lord Imagawa clan in 1568. 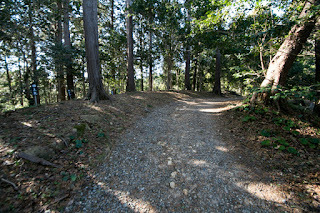 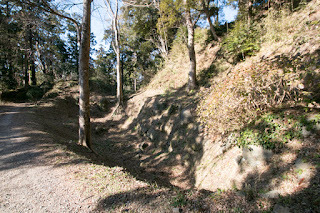 After the short but fierce struggle Hojo clan and Takeda clan once agreed, but in 1578, facing with the internal conflict of Uesugi clan which was the warlord of Echigo province (Niigata prefecture), both clan broke and started to conflict at their long border, including westside coast of Izu peninsula. Takeda clan formed their navy consisting former Imagawa navy and Kumano navy, to protect their supply line to coast castles. 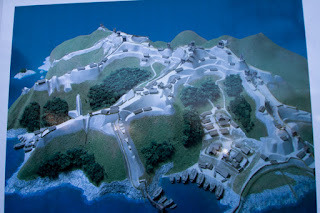 Reflecting to this, Hojo clan built their local naval base Nagahama castle just the south of Numazu area, to keep control of local sea areas and prevent attack of Takada navy toward maritime commercial route between Kinki region and their main territory Kanto region. 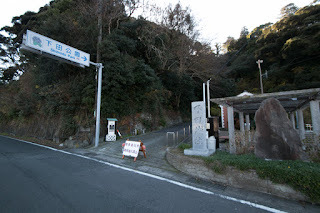 In 1582, Takeda clan was ruined by central ruler Nobunaga Oda (1534-1582), but Nobunaga also died in the incident of Honnoji, a coup d’etat by his general Mitsuhide Akechi (1521-1582). 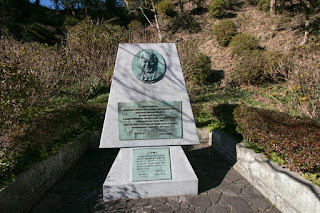 Hideyoshi Hashiba (1537-1598, later Hideyoshi Toyotomi), another regional commander of Nobunaga, took revenge of his master at the battle of Yamazaki and approached to next ruler. 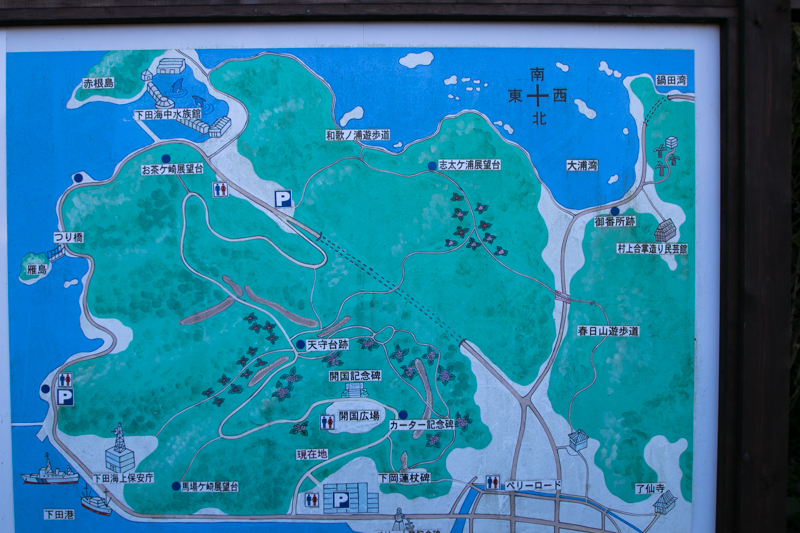 Utilizing the confusion of Oda clan, Hojo clan expelled Kazumasu Takigawa (1525-1586), the Kanto region commander of Nobunaga, and rapidly expanded their territory toward whole Kanto region. 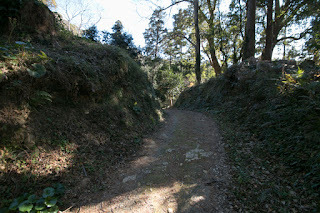 But remaining powers such as Satake clan or Utsunomiya clan asked assistance to Hideyoshi who started Toyotomi government, then Hojo clan had to start to prepare for the total war against the central power. 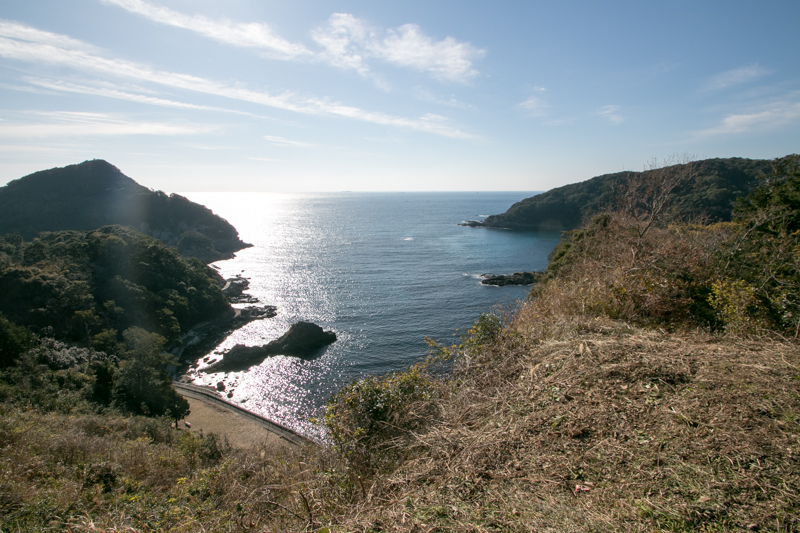 As Odawara castle, the main base of Hojo clan, was built along with the coast and weak to marine blockade, it was necessary to hold back the supreme Toyotomi navy which includes strong naval clans such as Kuki clan or Murakami clan at the tip of Izu peninsula. 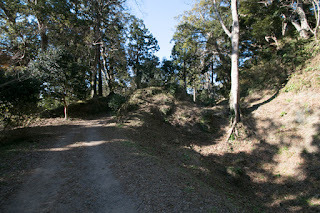 In the latter half of 1580’s, along with land castles such as Yamanaka castle (Shizuoka prefecture) or Matsuida castle (Gunma prefecture), Hojo clan built Shimoda castle with their latest technology, preparing for the total war. 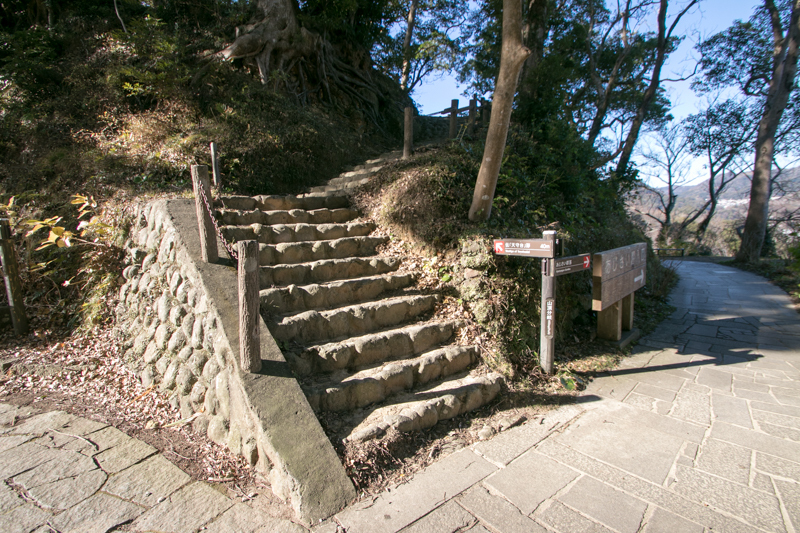 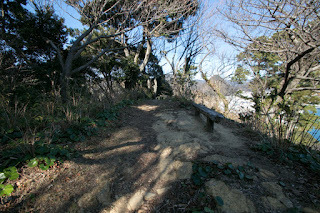 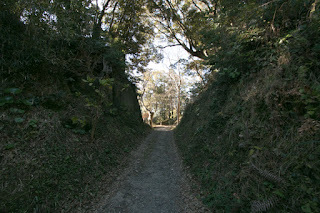 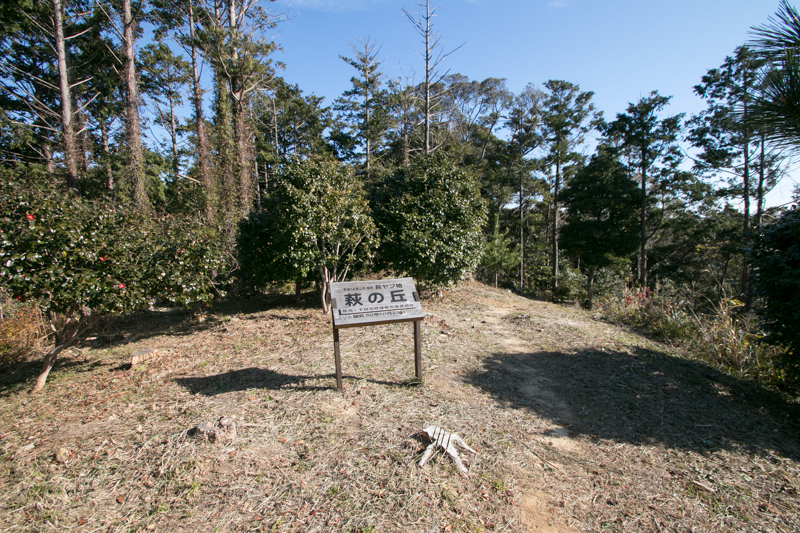 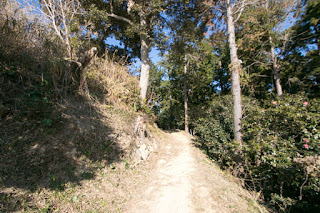 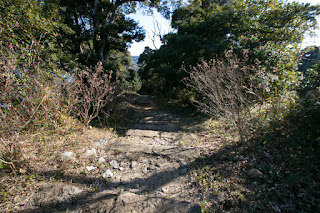 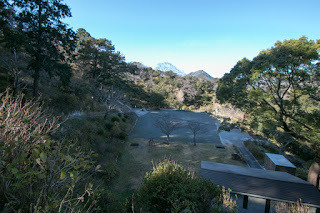 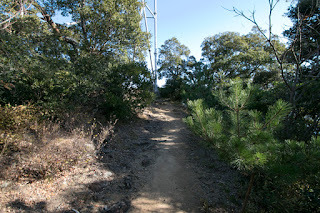 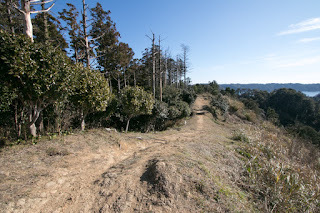 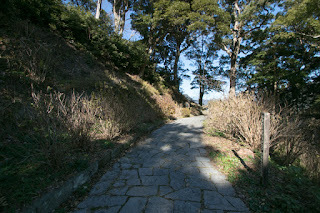 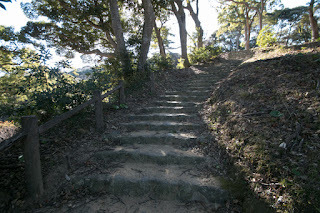 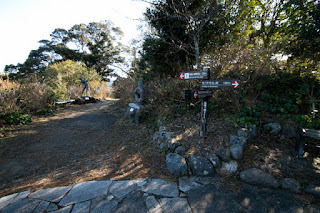 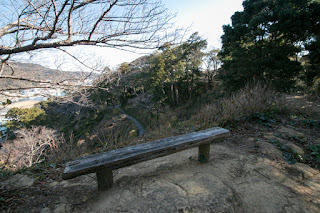 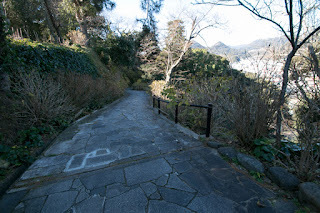 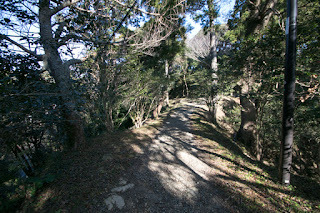 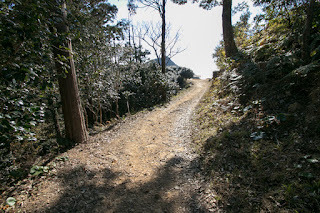 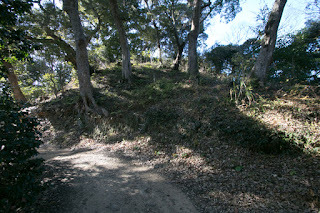 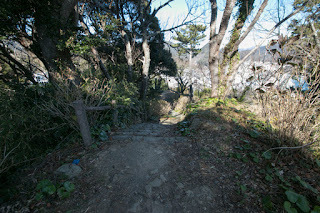 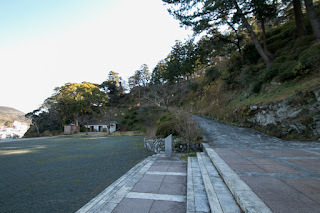 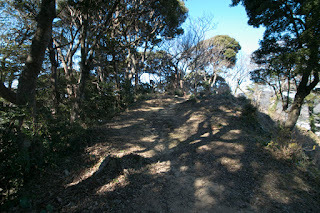 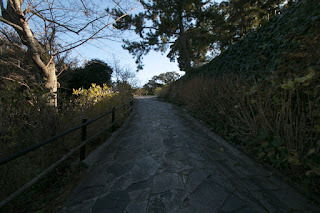 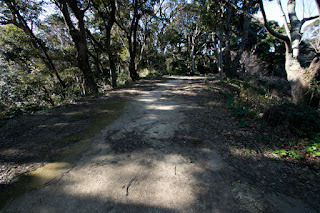 Shiroyama hill consist of one base line and three small lines like E letter. 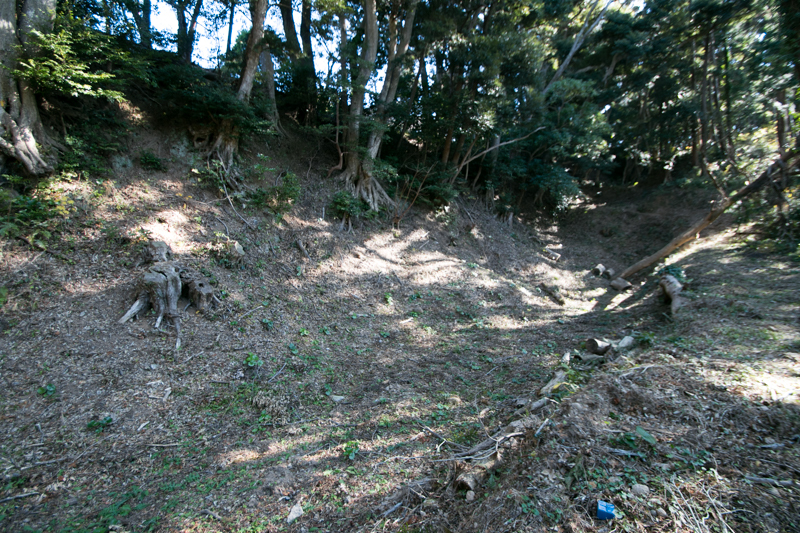 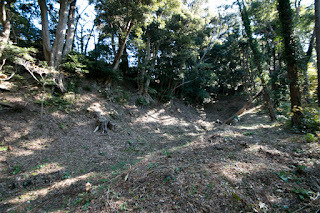 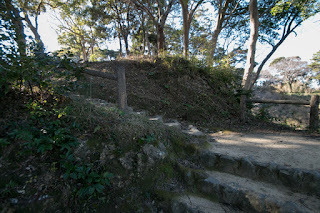 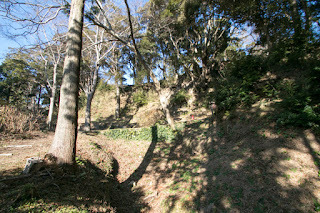 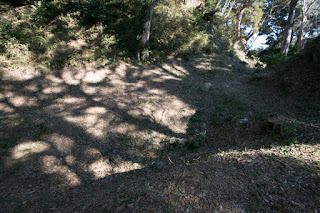 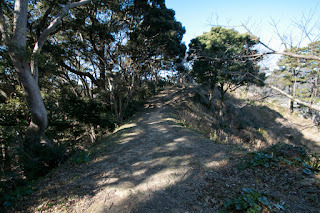 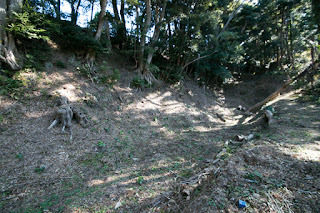 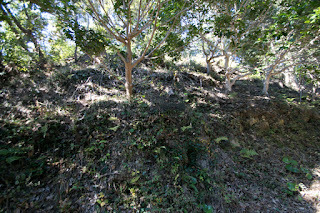 Different from former marine base such as Misaki castle, Shimoda castle does not have large flat space but shapes its ridge into walls surrounded by dry moats. 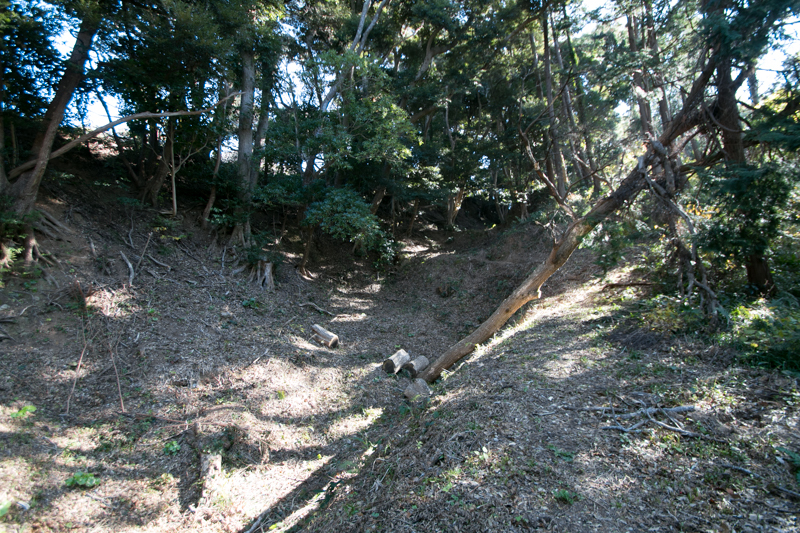 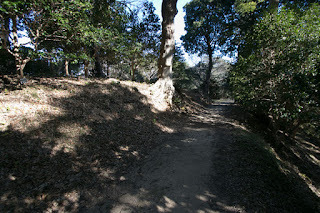 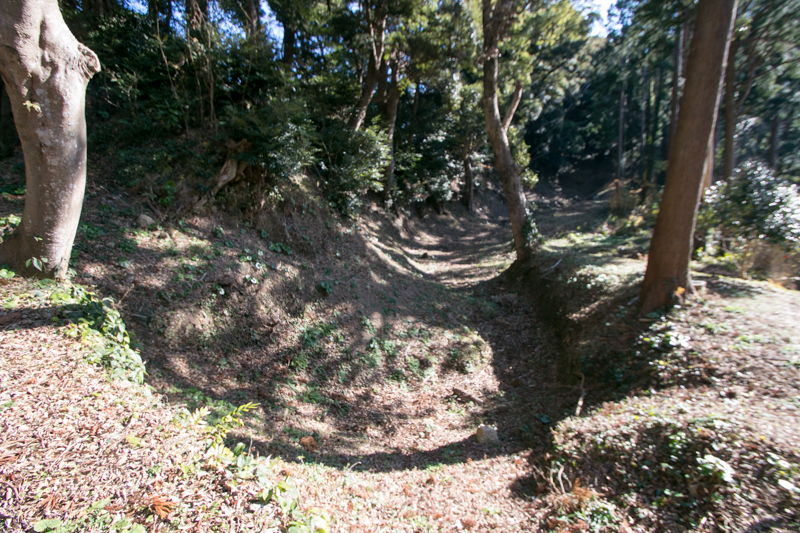 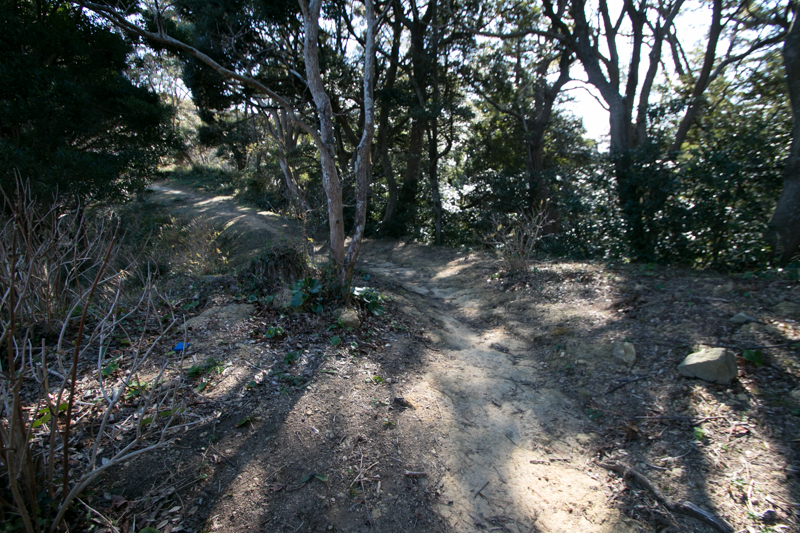 As the left line of E letter is an expected approach line of the enemy from the land, this side is protected by deep dry moat which is separated into small compartment, to prevent the movement of enemy which also seen at Yamanaka castle. 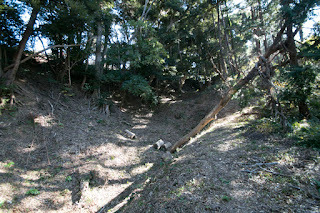 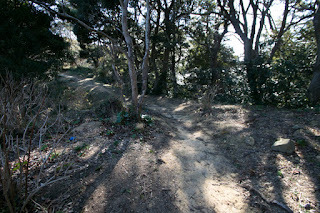 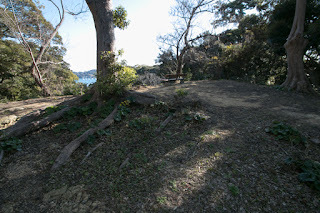 Two gap of E letter both have cove which might be used as an anchorage space of military ships, and the structure of Shimoda castle was planned to protect this two cove. From time to time the most easy way to incapacitate enemy navy is to broke ships at their port, thus the walls of the castle were built to hide ships and protect them by smaller soldiers. Different from other naval bases such as Misaki castle or Nagahama castle, Shimoda castle had a pure military element as a maritime base. 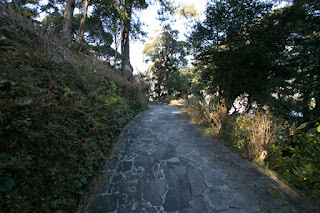 Total size of the caste is about 500 meter long and 400 meter wide, and extraordinary large castle at Izu peninsula. Although its plan is simple, but huge amount of construction was thrown into build this castle. 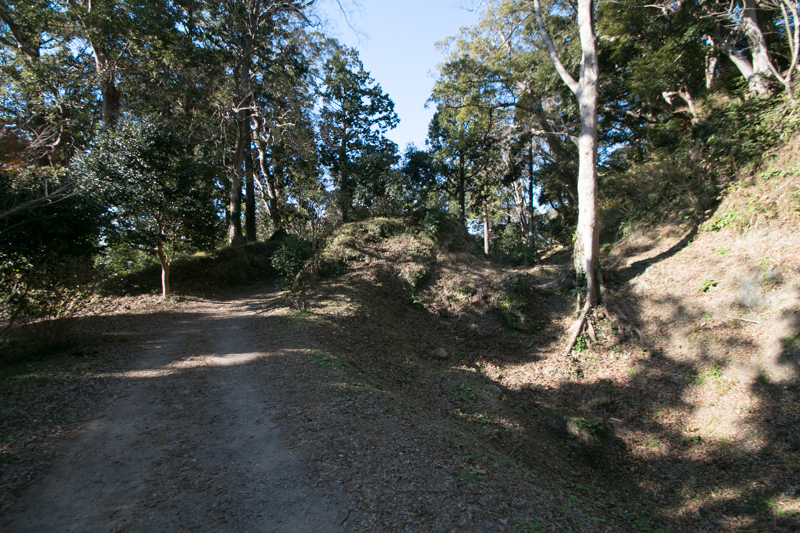 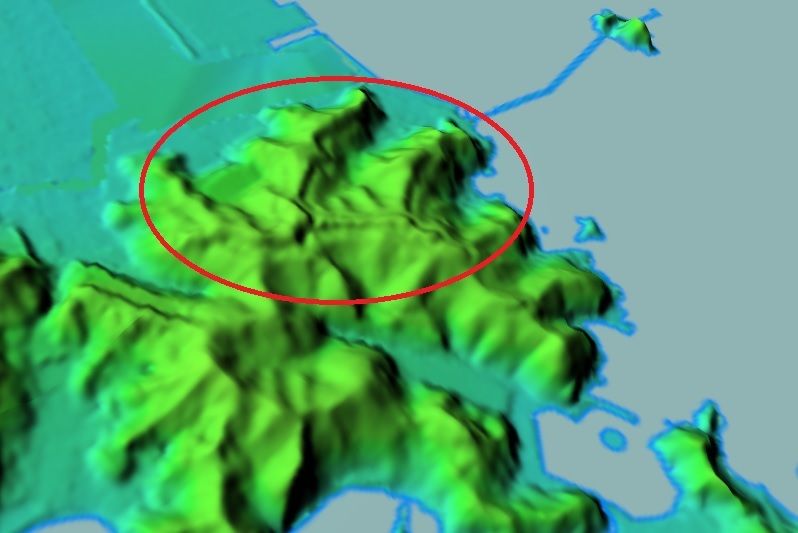 Along with land border castles such as Yamanaka castle or Matsuida castle, Shimoda castle was exactly a marine border of Hojo clan toward westward. 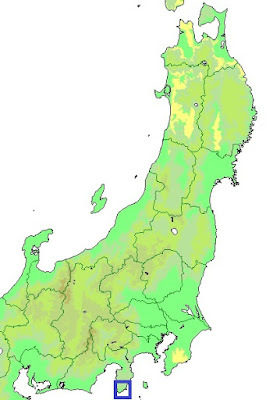 In 1590, after surrender of Chosokabe clan at Shikoku island and Shimazu clan at Kyushu island, Hideyoshi finally started its Odawara campaign toward Hojo clan utilizing the dispute of Matsuida castle (Gunma prefecture). Toyotomi army had 200,000 soldiers, and included all naval clans at central and western Japan with over 5,000 soldiers. 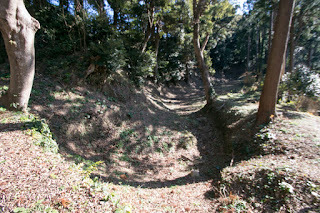 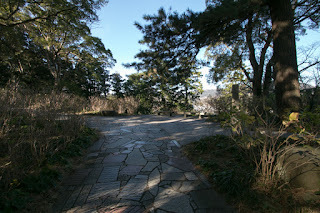 At this time, Shimizu clan which was the commander of Shimoda castle only held 600 soldiers. 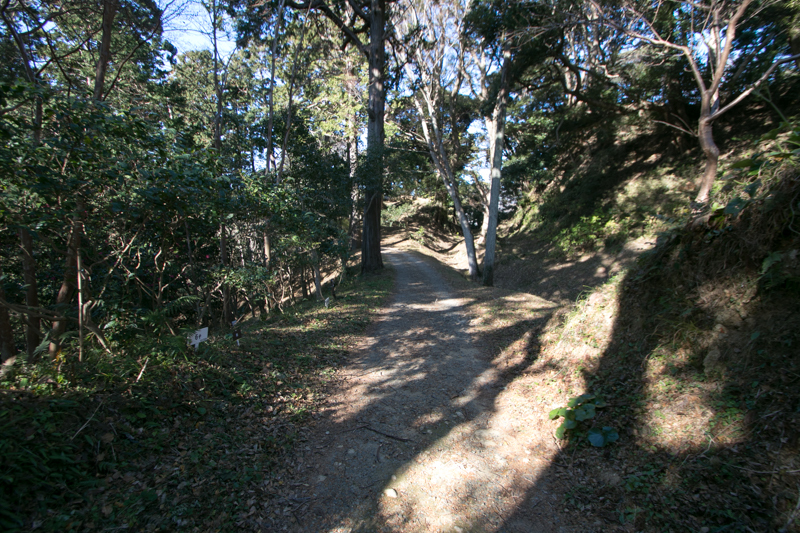 Overwhelming Toyotomi navy enclosed Shimoda castle by their half part, and remaining half part directly proceeded into Odawara castle. 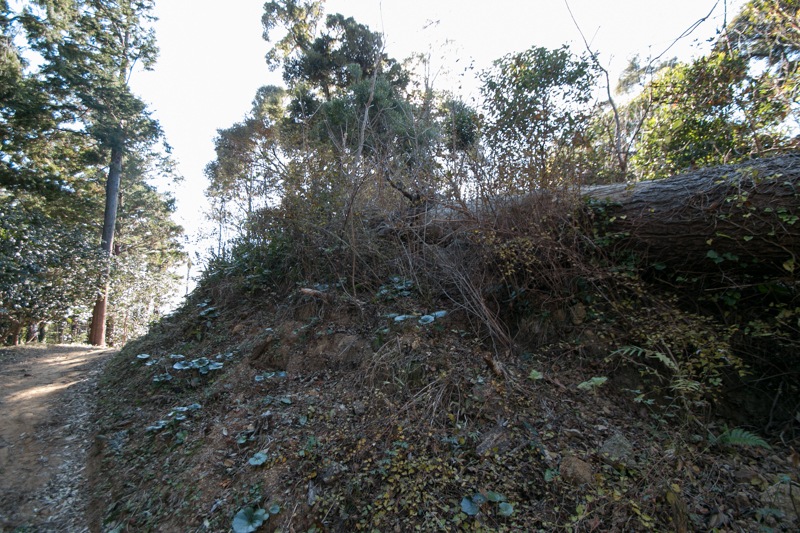 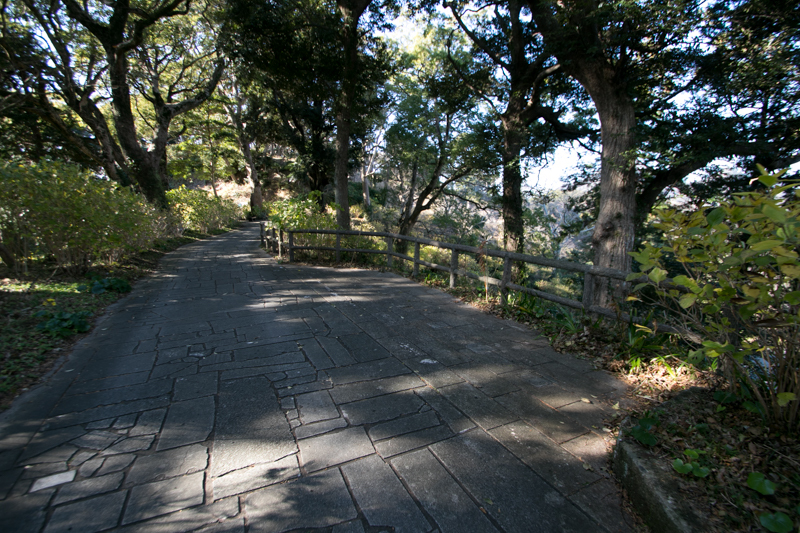 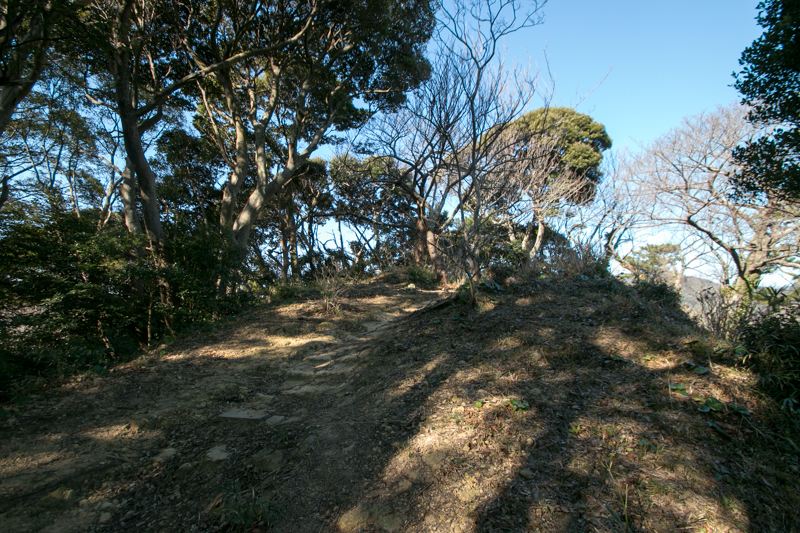 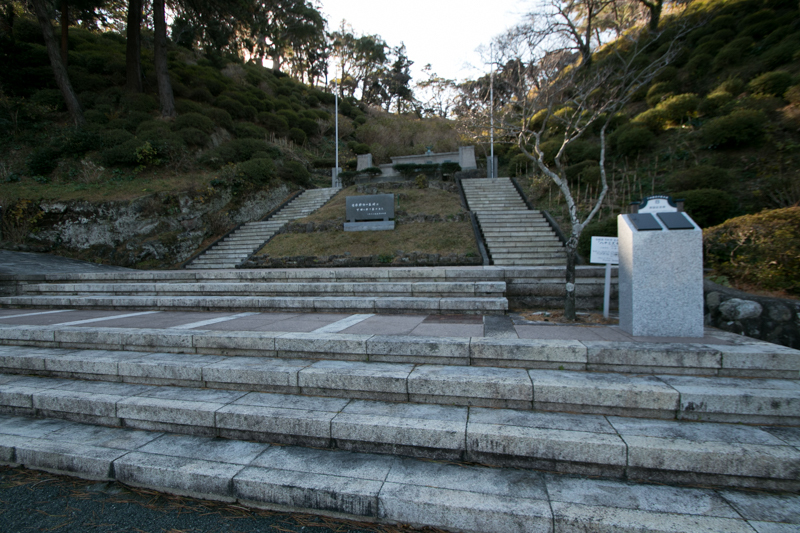 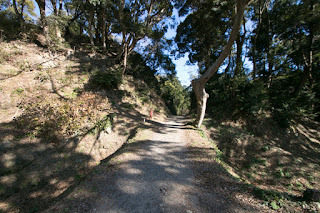 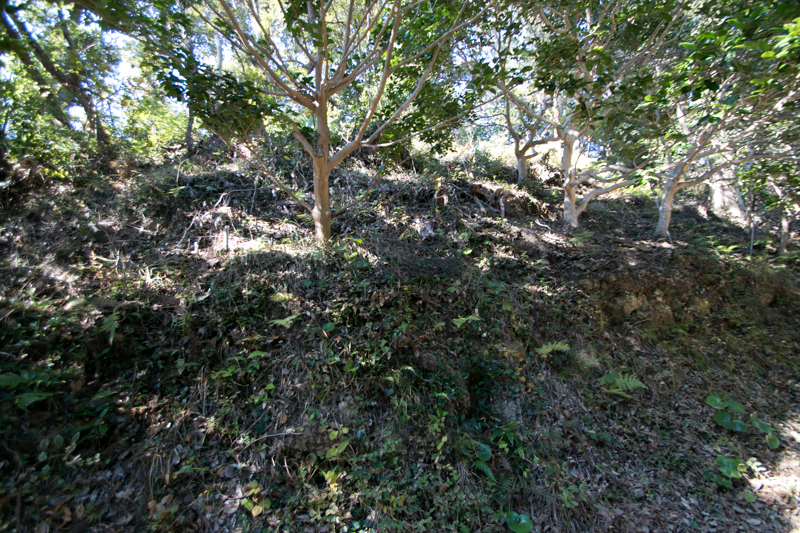 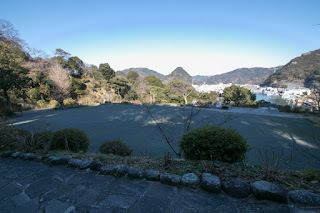 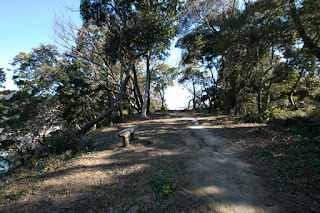 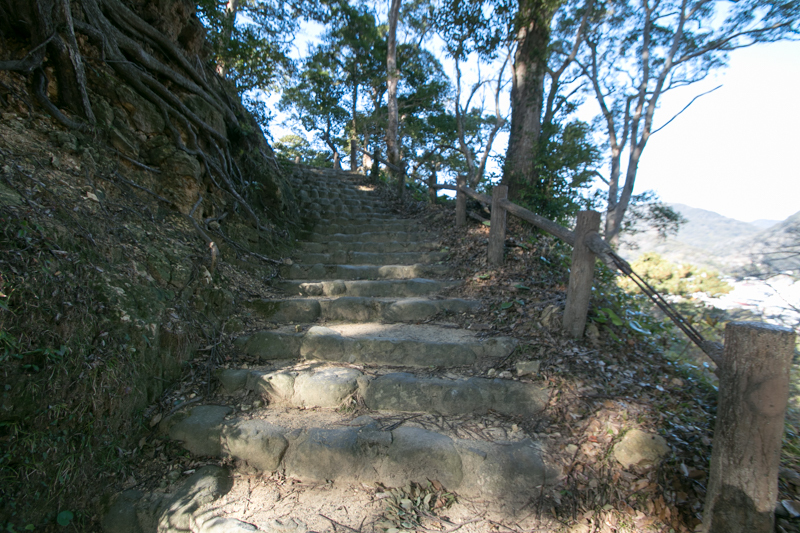 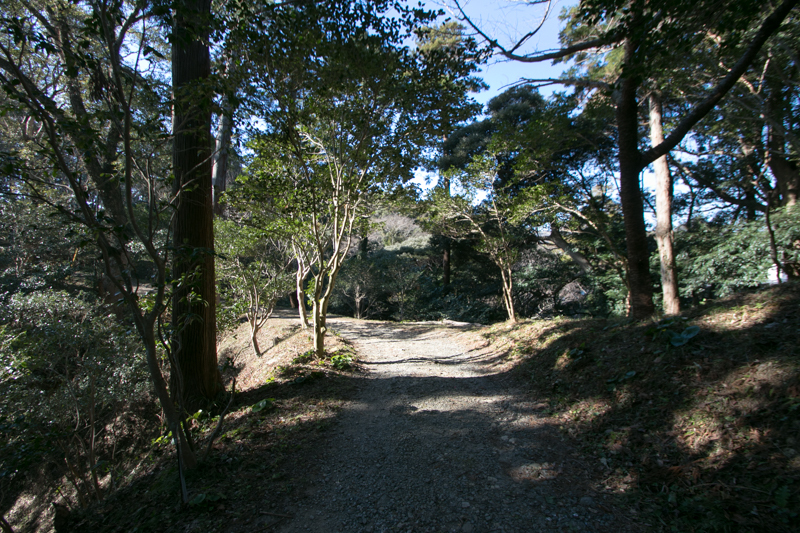 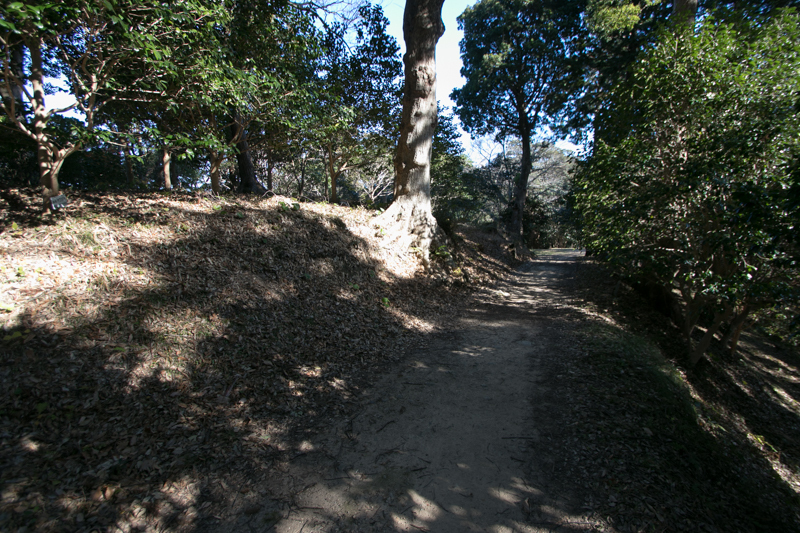 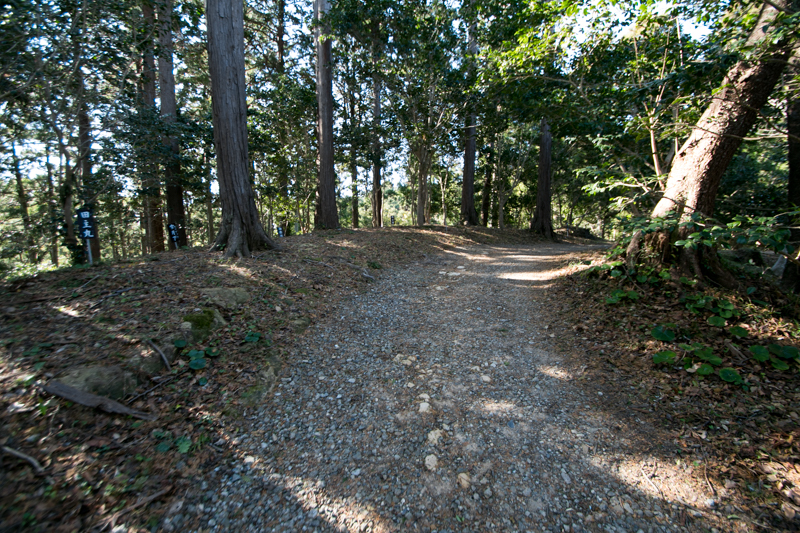 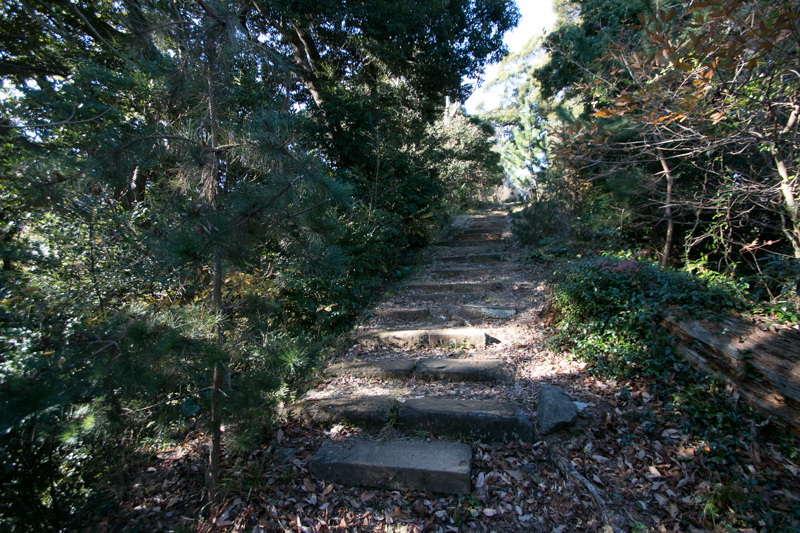 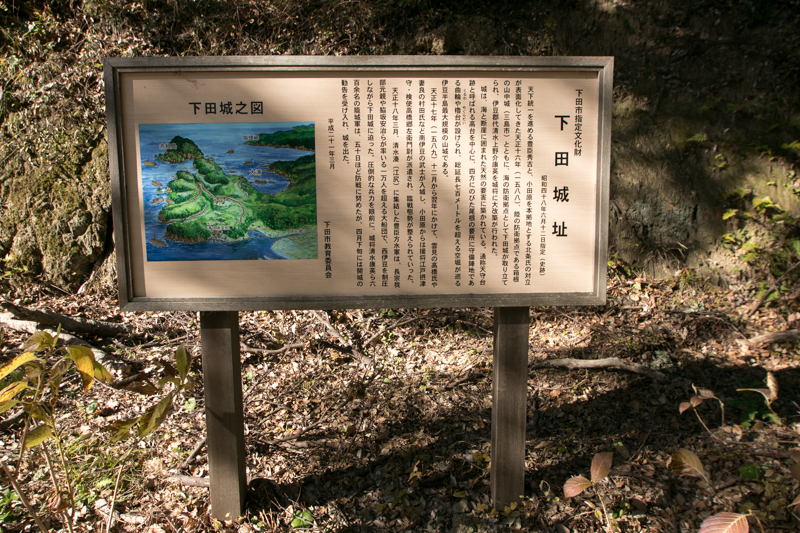 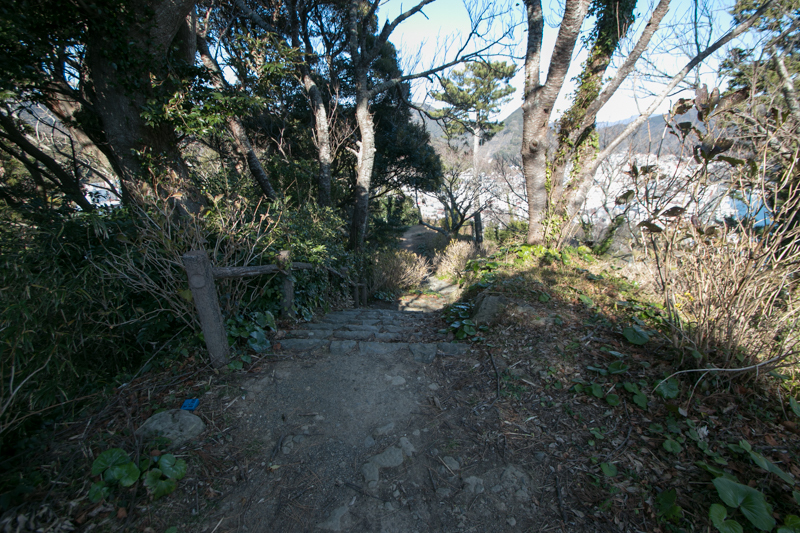 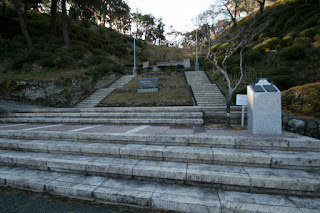 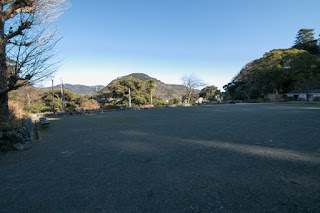 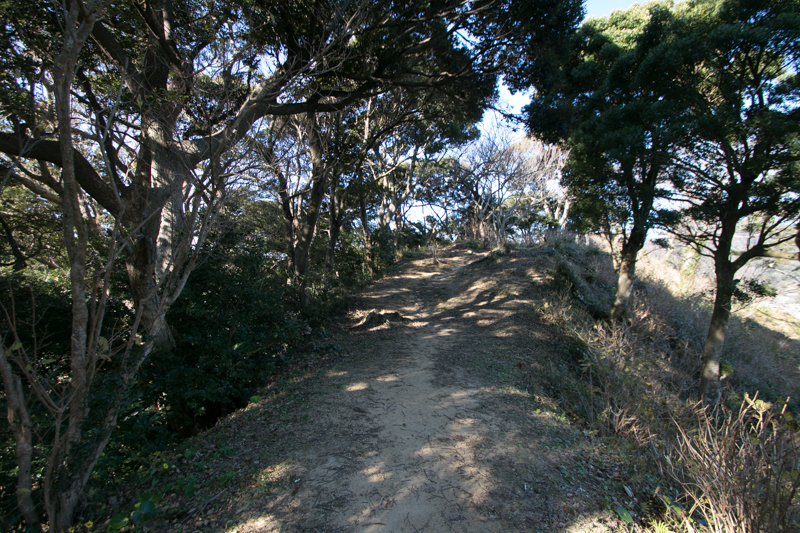 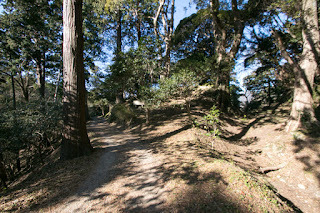 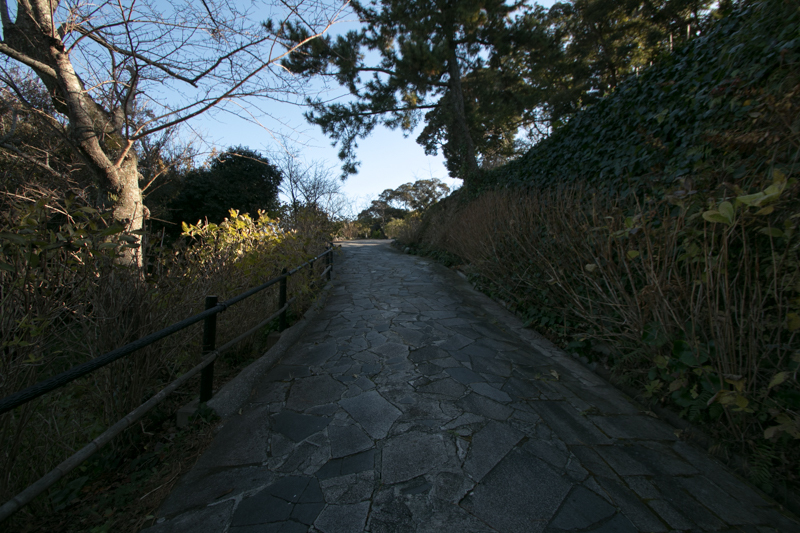 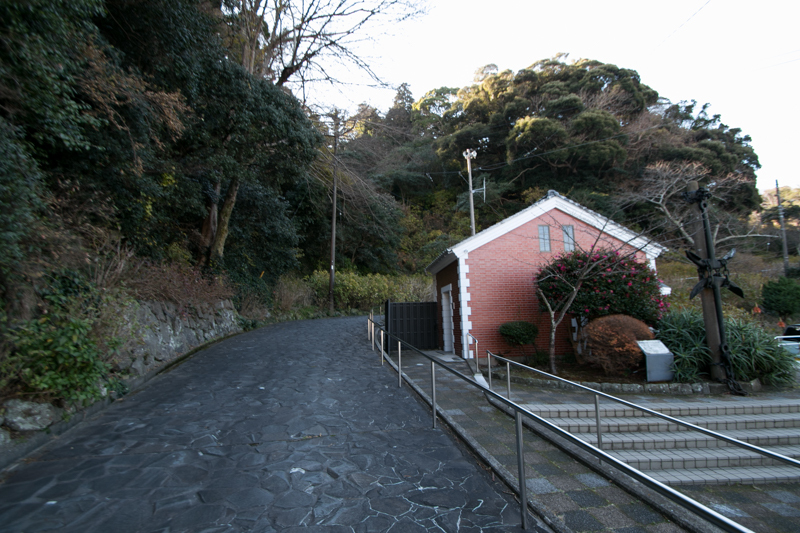 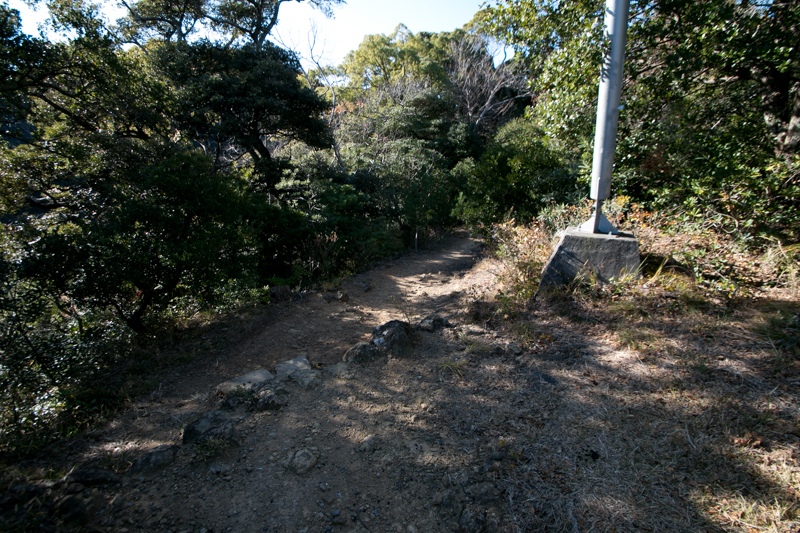 Shimoda castle could not show their strategic role at the battle. But Shimizu clan firmly kept Shimoda castle over 50 days, under the severe enclosure of Toyotomi navy, then opened the castle. 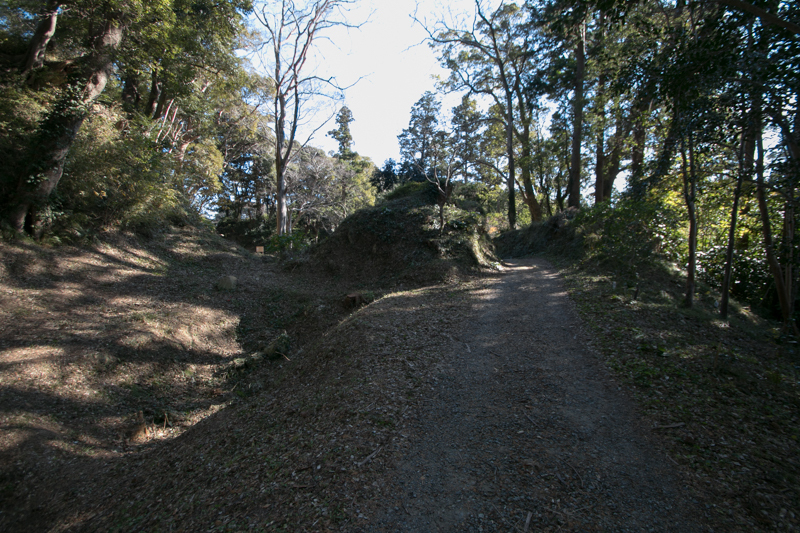 Three month later Hojo clan opened their main base Odawara castle and also ended their history as a warlord. 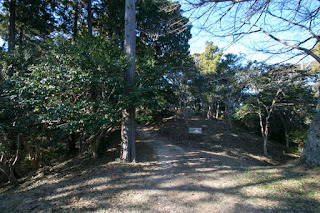 Toyotomi government united whole Japan, then medieval era of Japan ended and pre-modern area had started at this campaign. 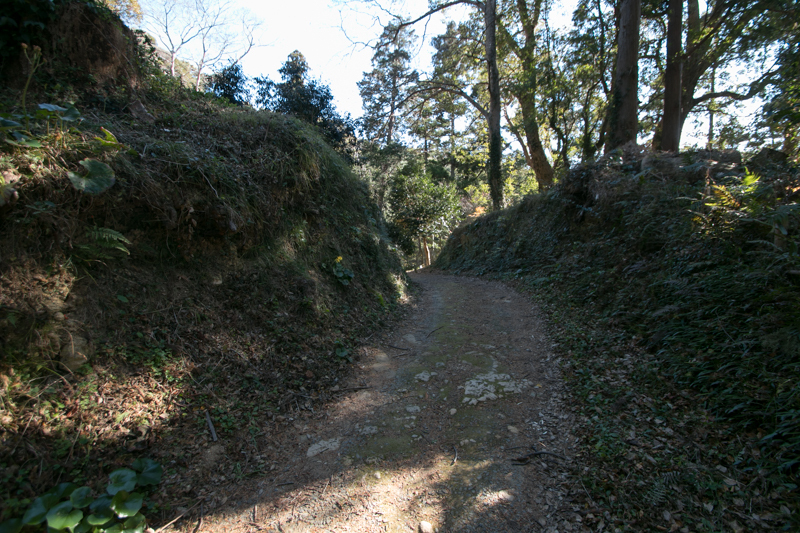 After the battle Shimoda castle was abolished, but the importance of Shimoda area remained then Edo Shogunate directly kept Shimoda town. 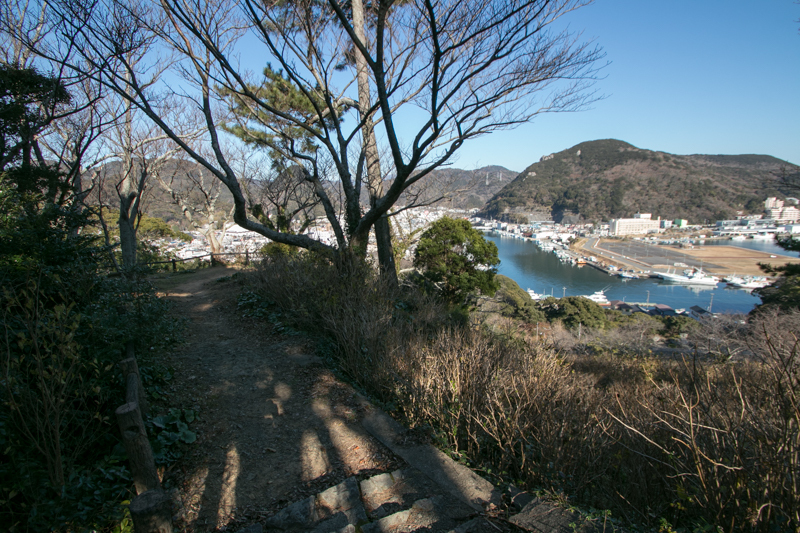 Time quietly passed but 250 year after Shimoda town faced another end and start of the history. In 1853, American admiral Matthew Perry (1794-1858) visited Japan with his fleet to let the nation open to the foreign countries. Perry once handed letter to Edo Shogunate and once left, but next year came back again and agreed Kanagawa treaty. 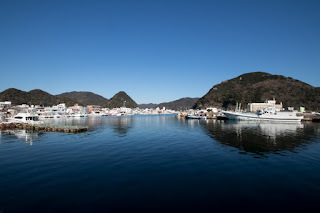 Next Perry moved to Shimoda port and made appendix named Shimoda treaty. 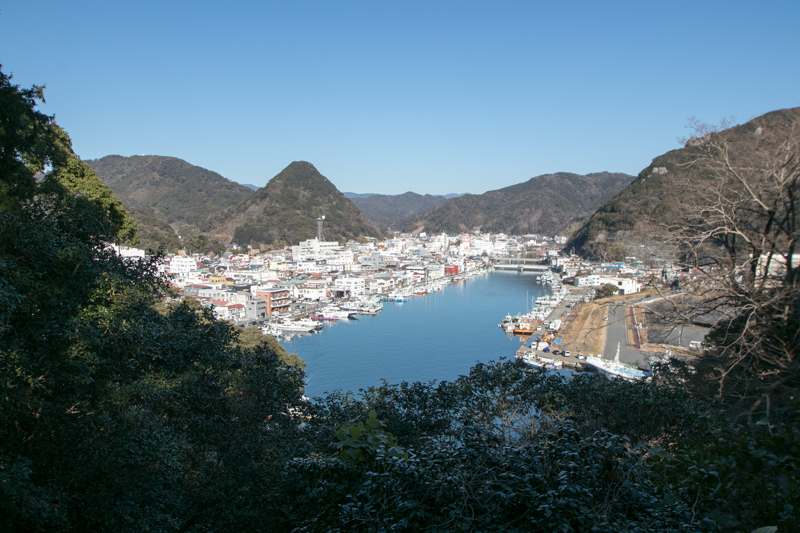 Under these treaties time Shimoda port became an international port, as it was suitable support port for American whale boats. 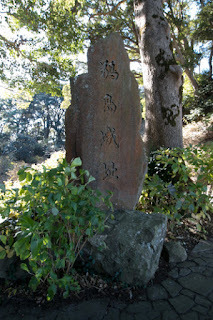 From this opening of Japan, under the foreign pressure Edo Shogunate ended its history and Meiji new government started. 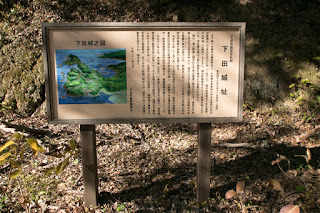 Shimoda area directly saw two ends and starts of the time. 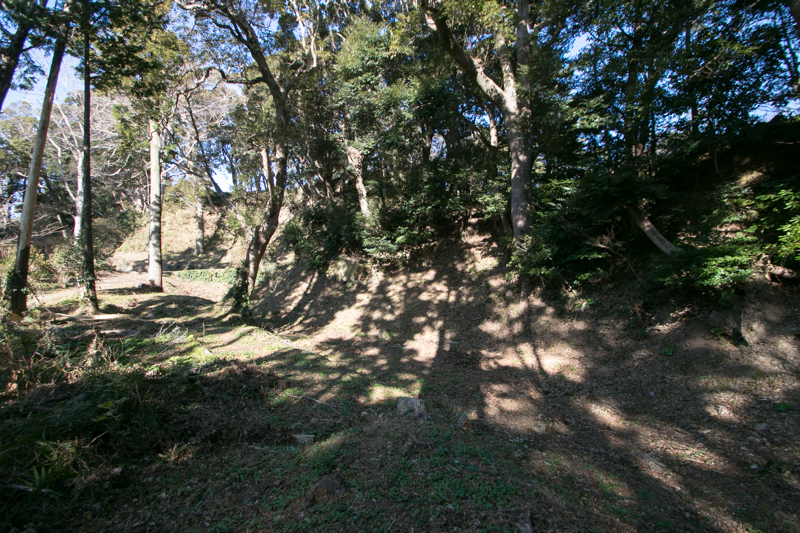 Today no building remains but structure of clay wall and moats well remain around the hill. 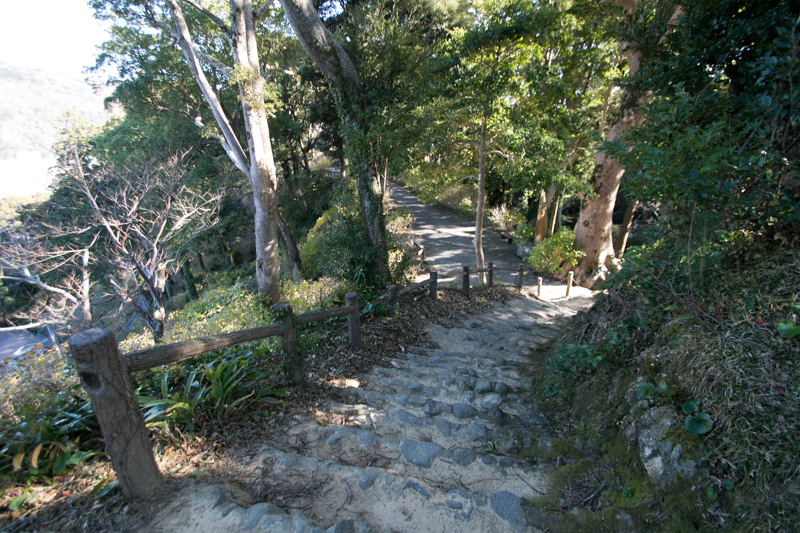 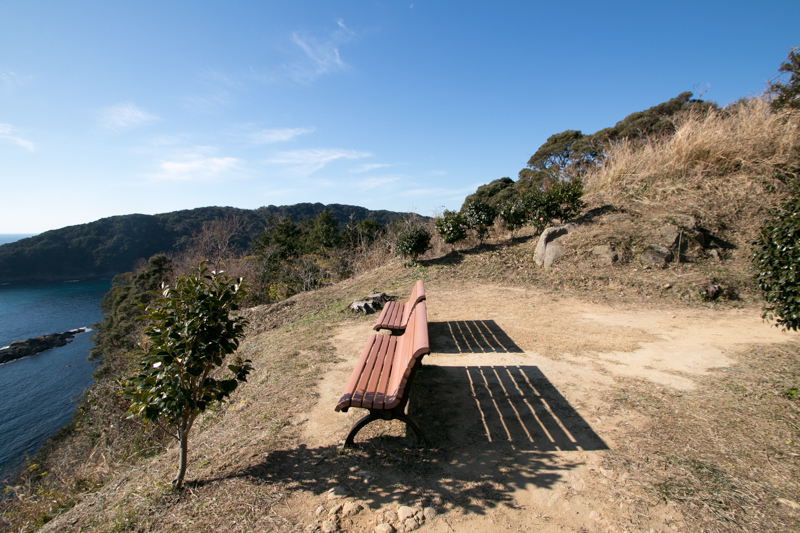 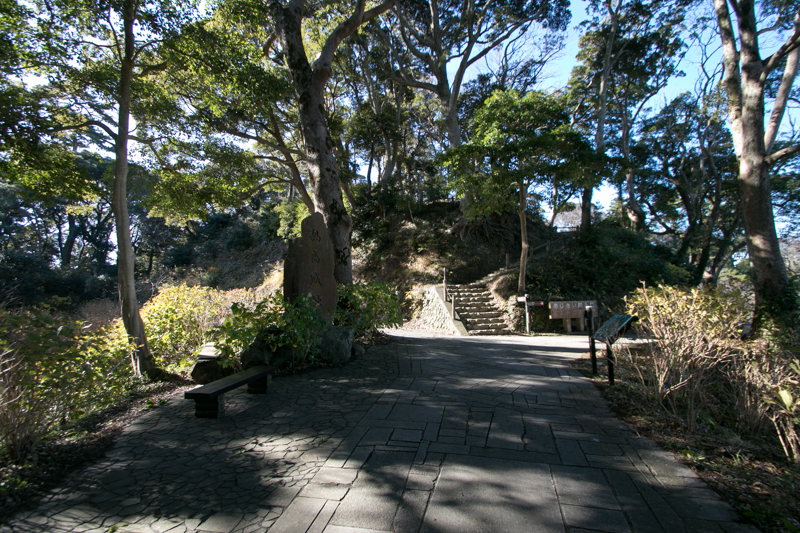 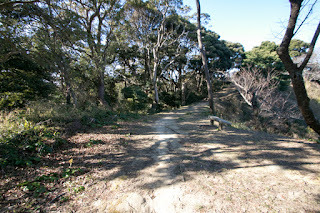 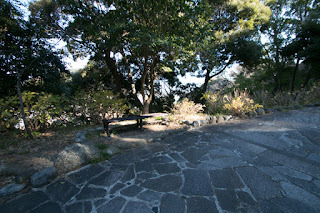 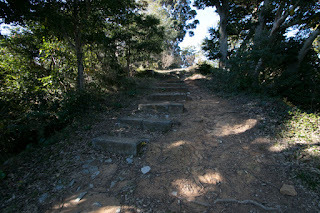 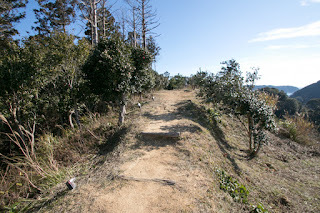 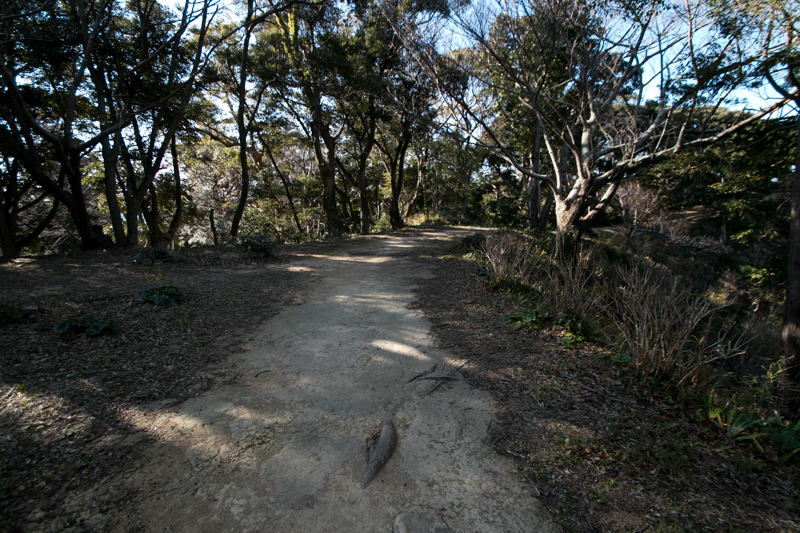 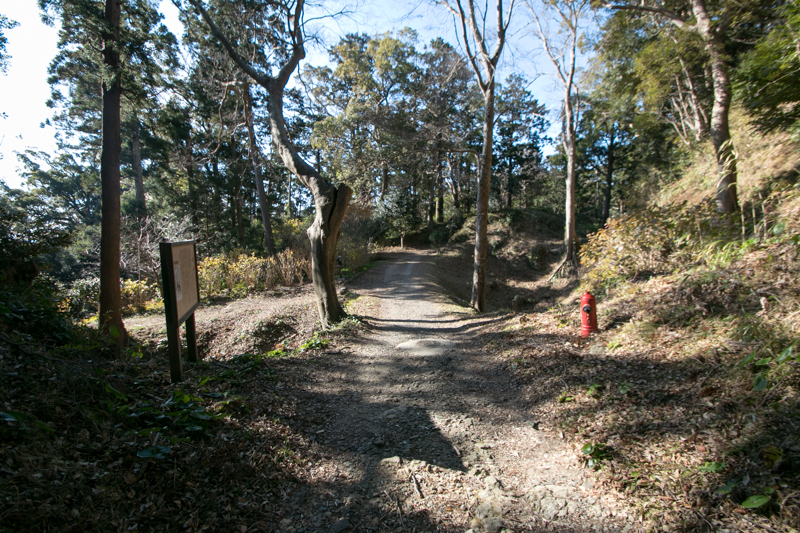 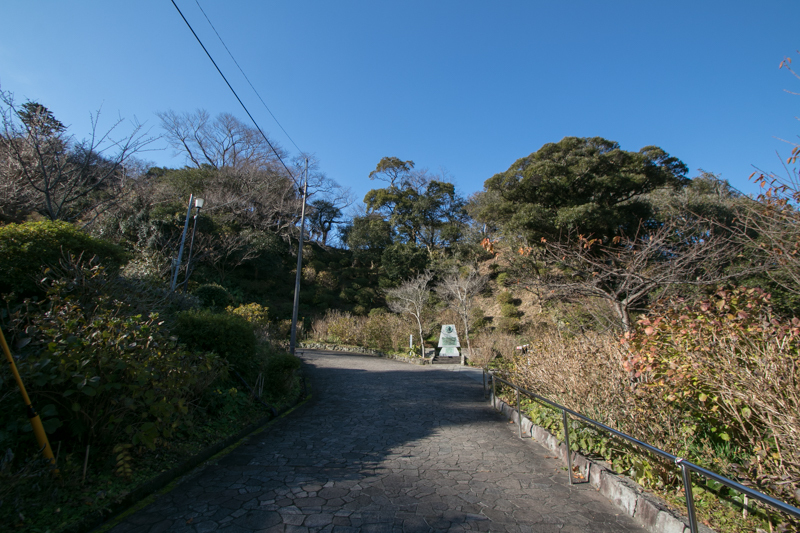 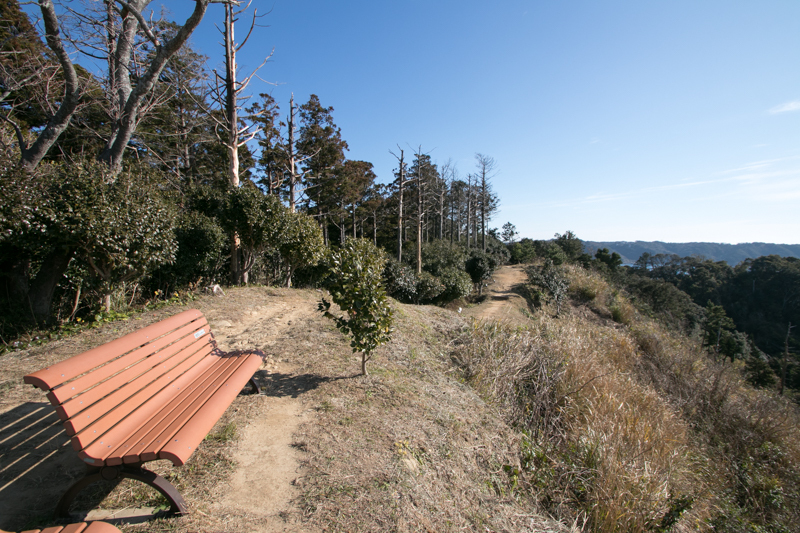 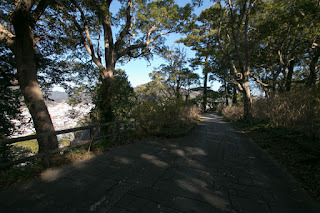 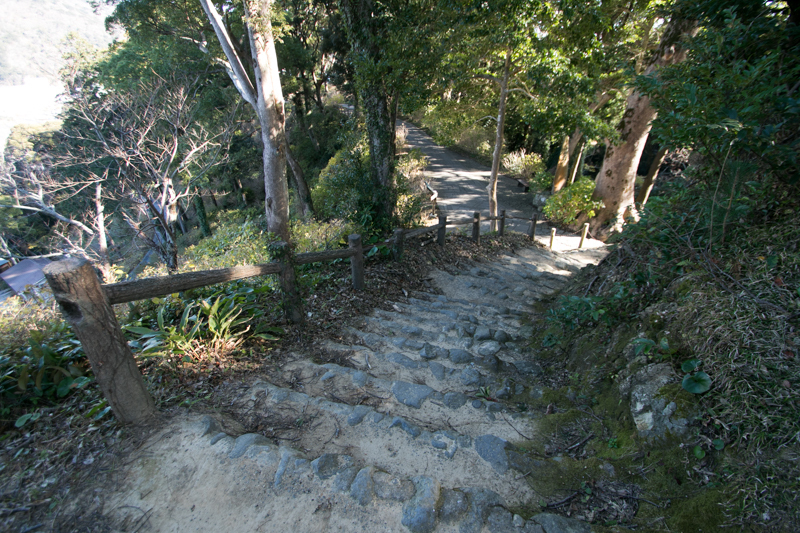 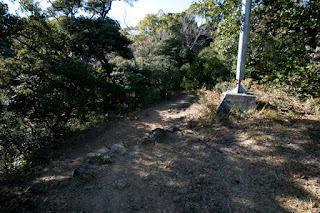 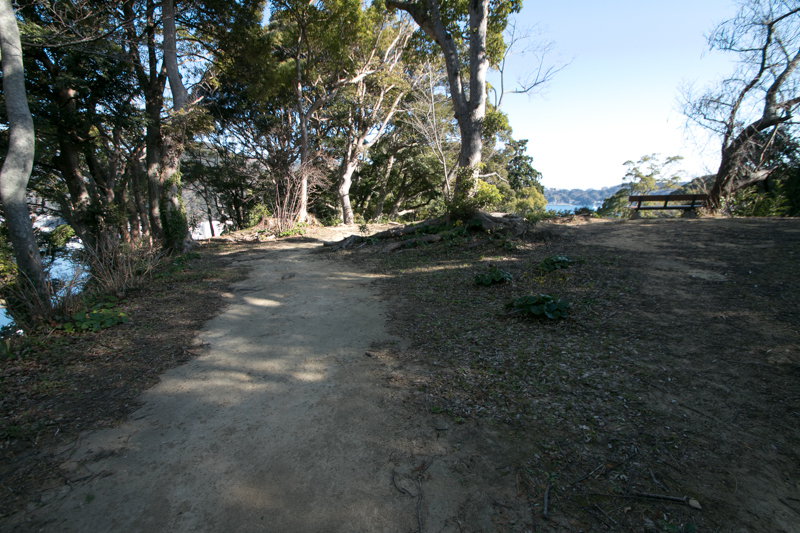 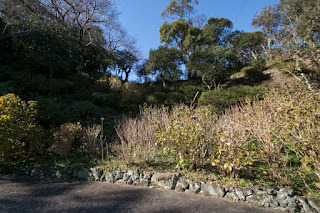 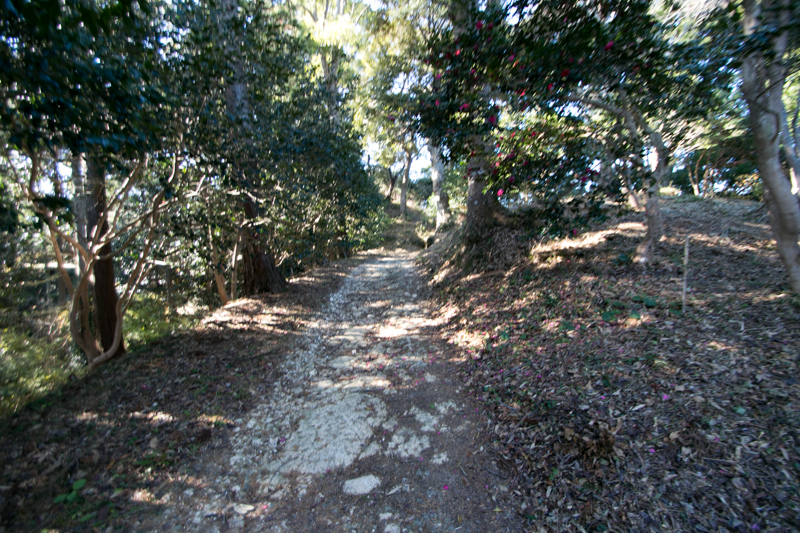 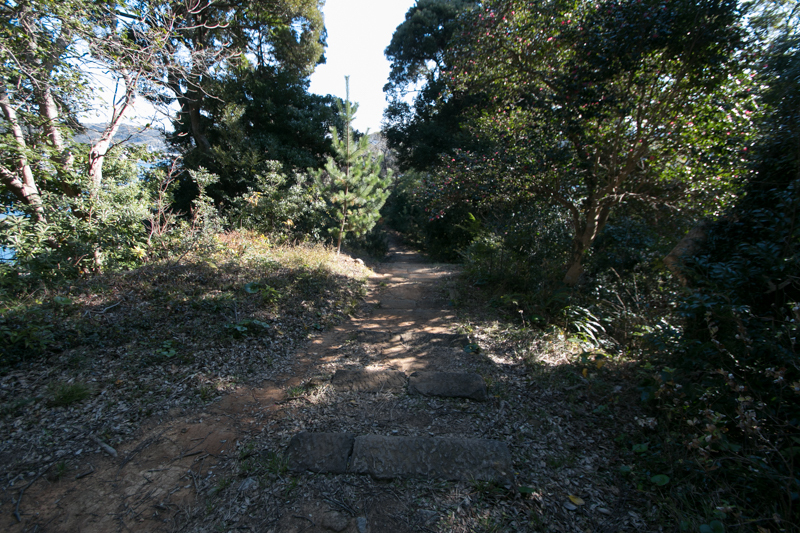 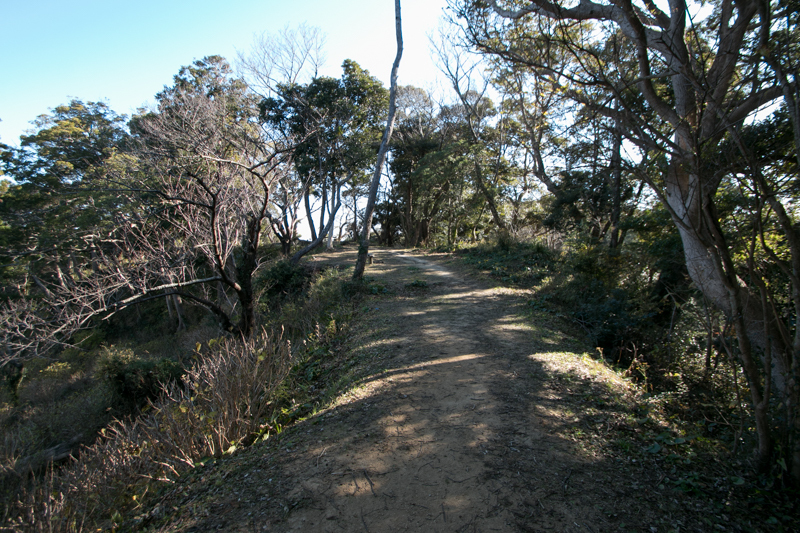 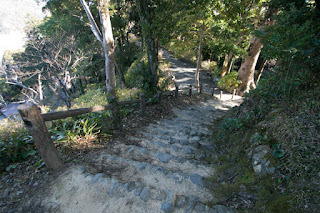 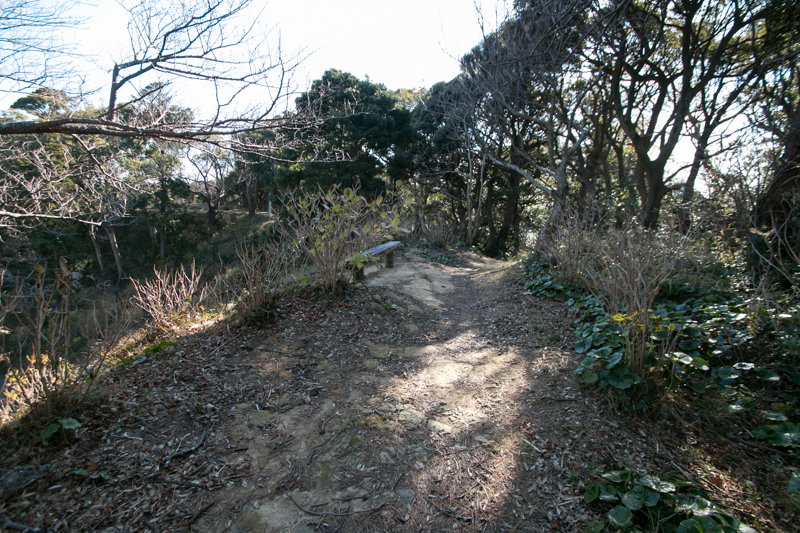 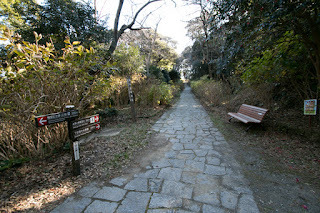 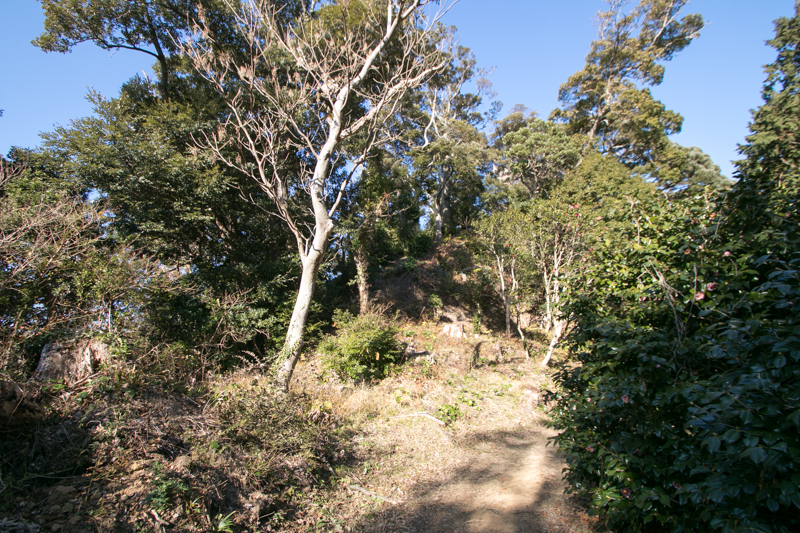 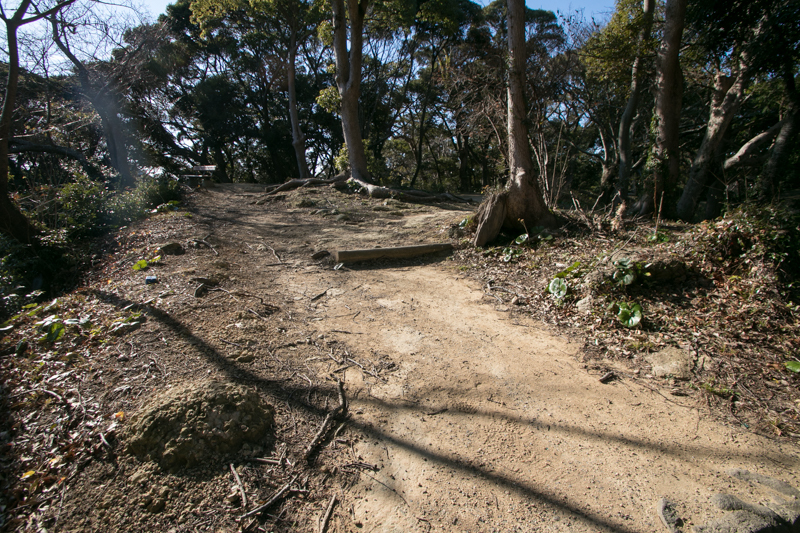 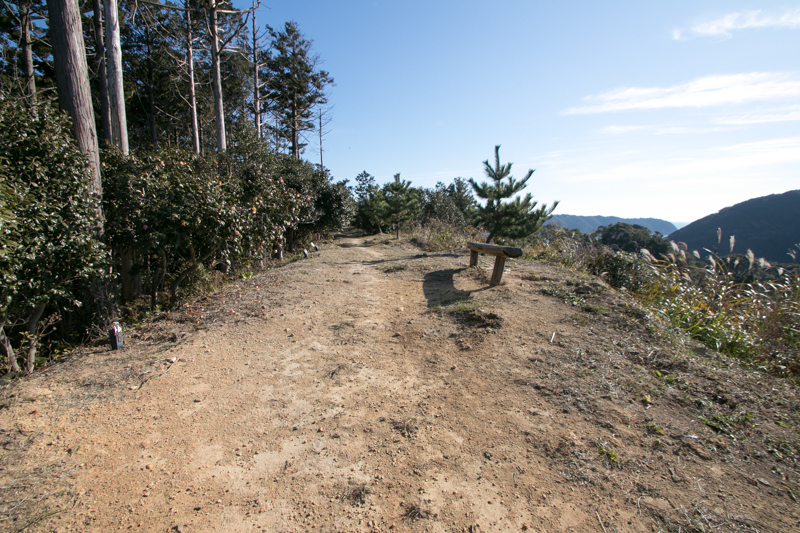 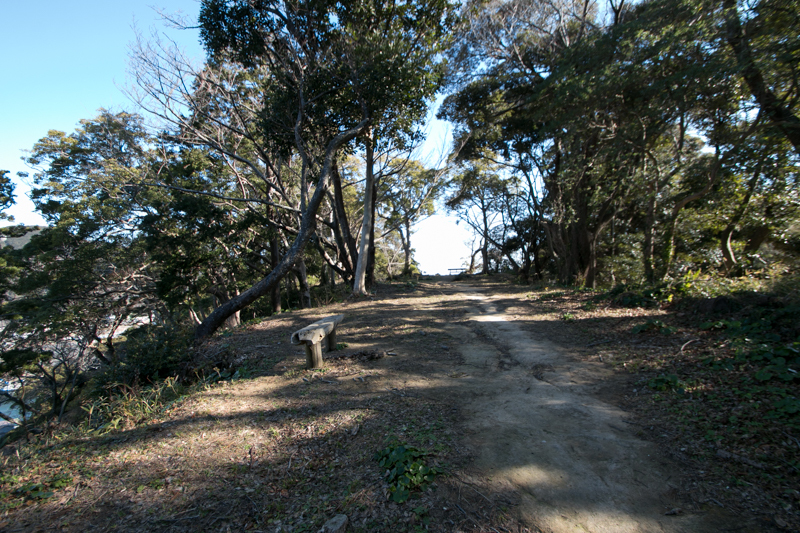 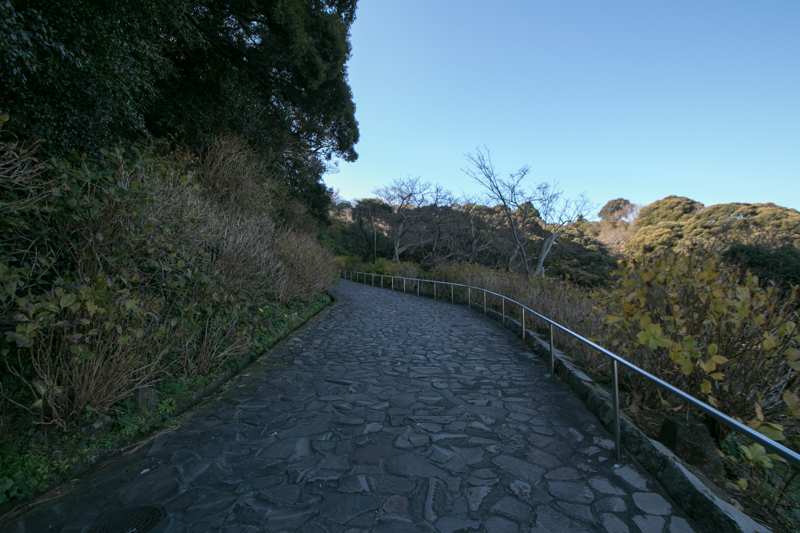 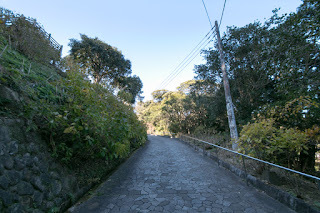 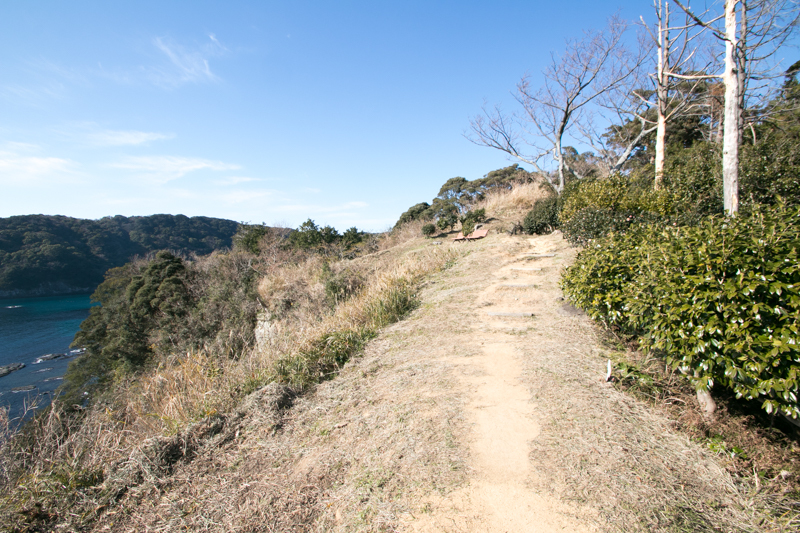 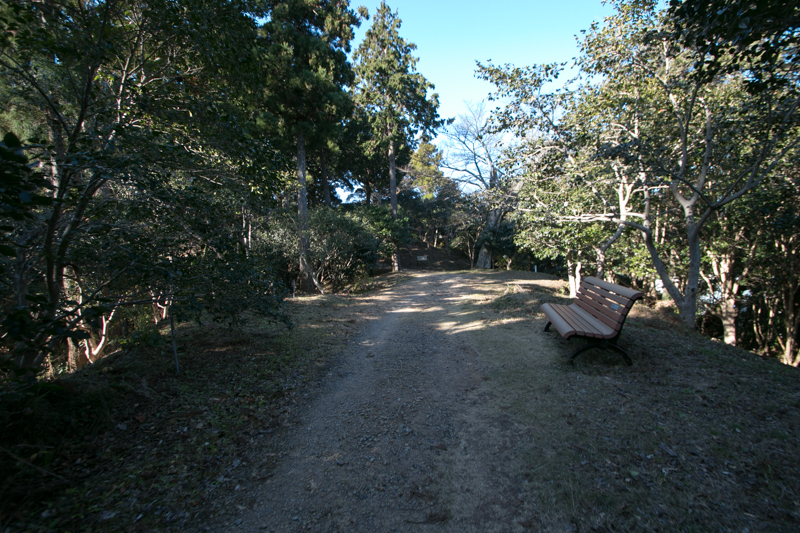 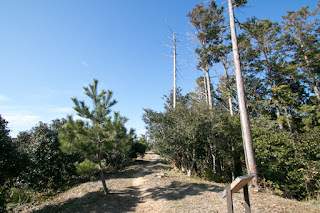 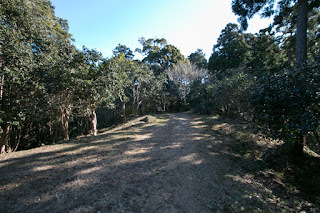 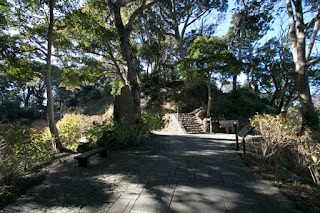 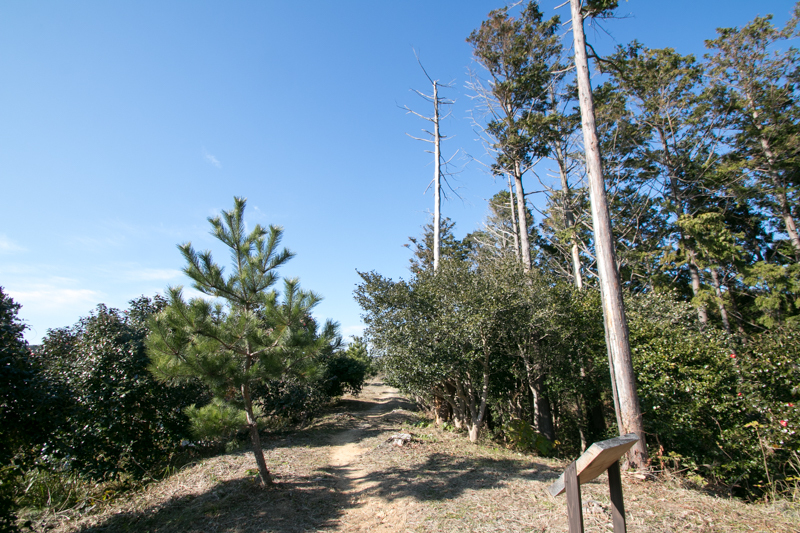 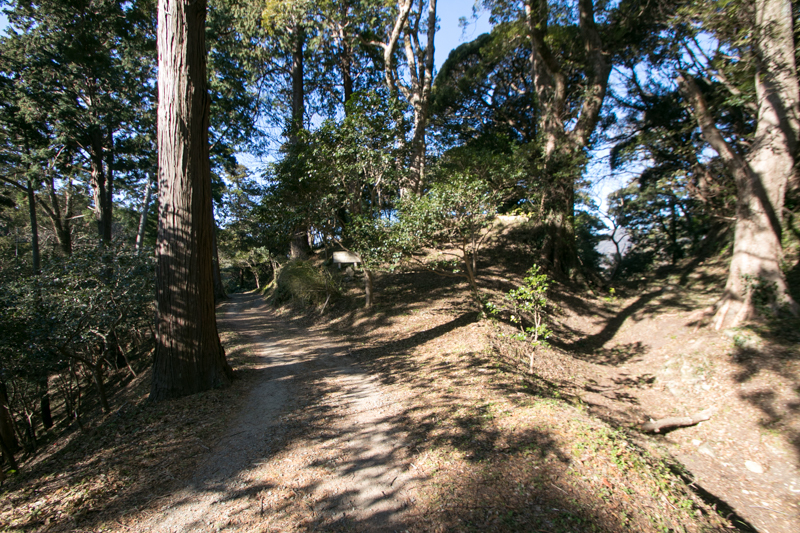 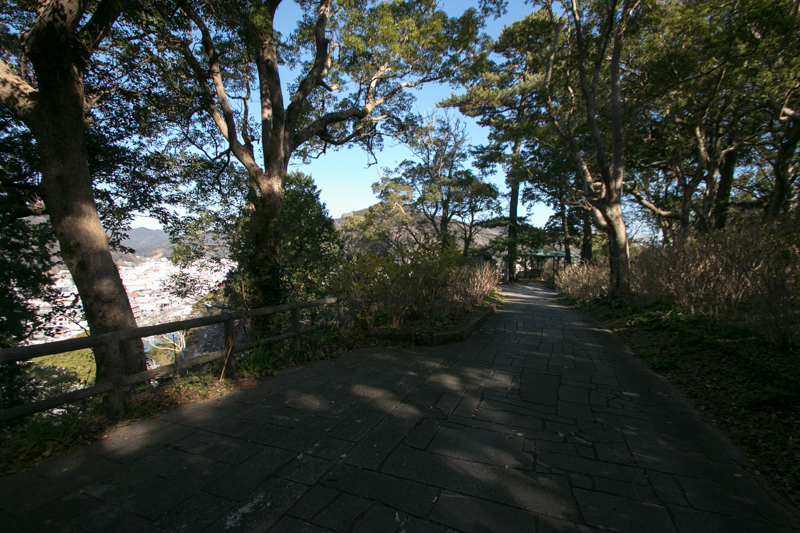 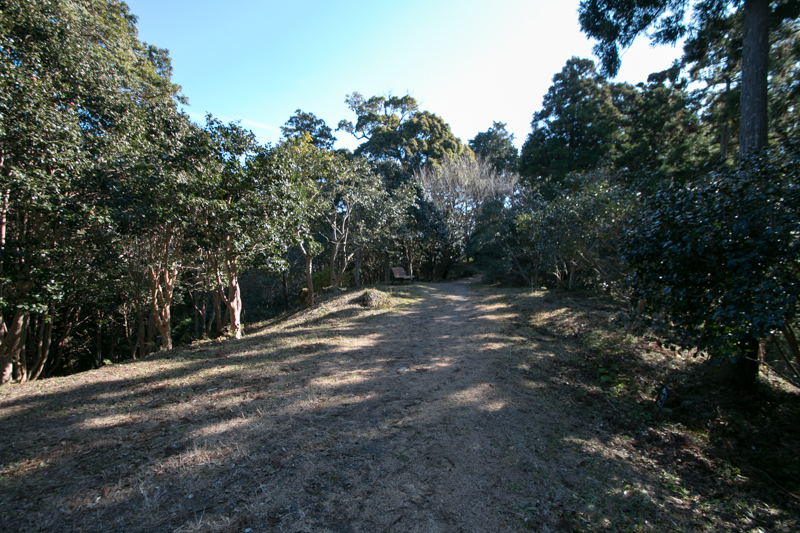 Shiroyama hill becomes Shimoda park and is covered with various flowers. From castle site both of Shimoda town and magnificent scenery of Pacific Ocean are seen at north ward and southward respectively, and this matter well shows the importance of small town shown in the history of Japan. 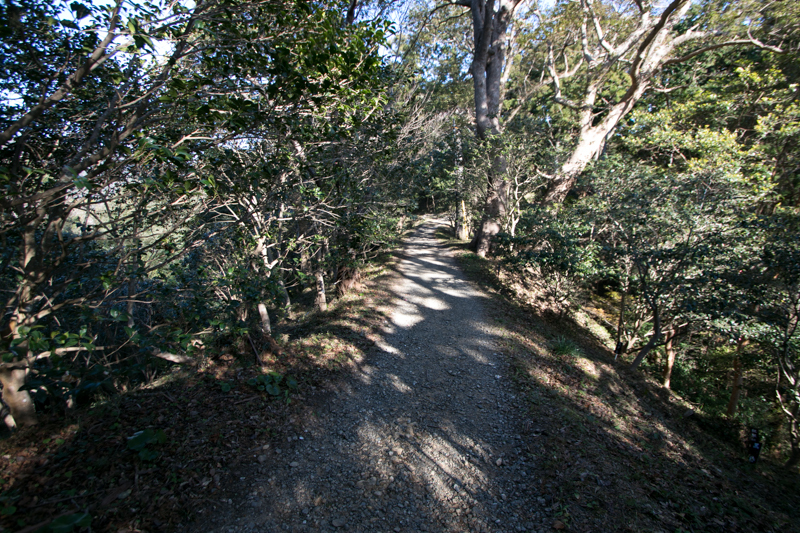 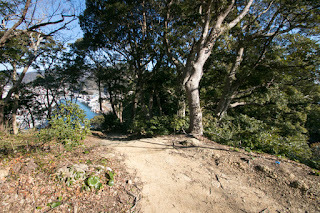 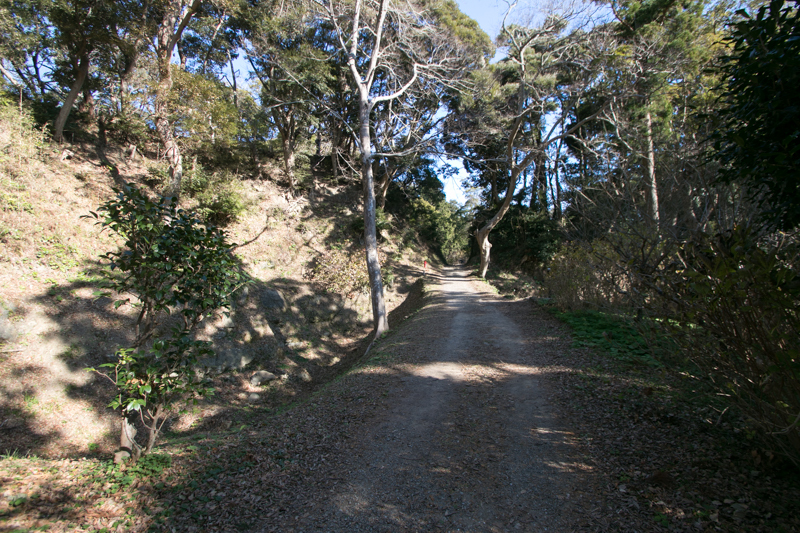 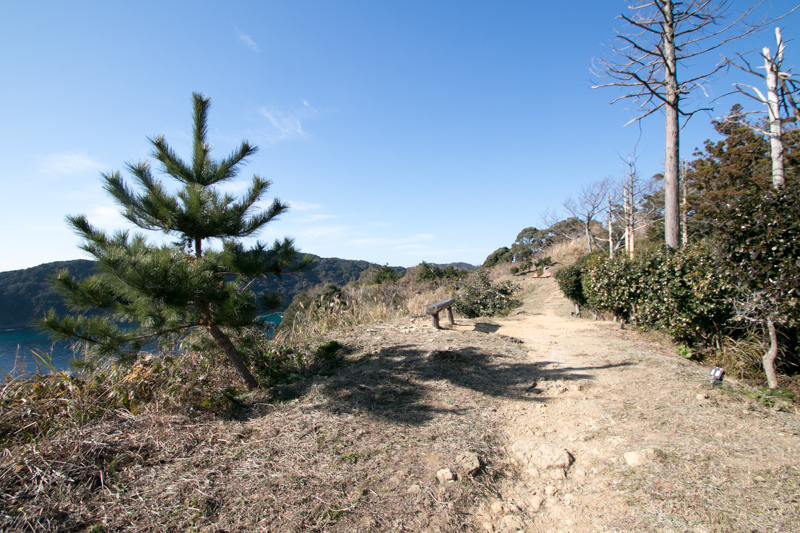 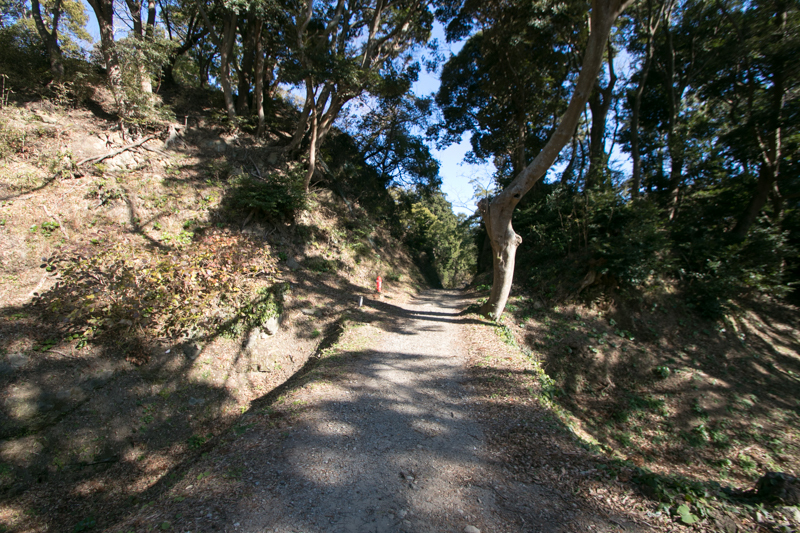 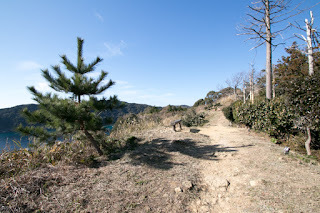 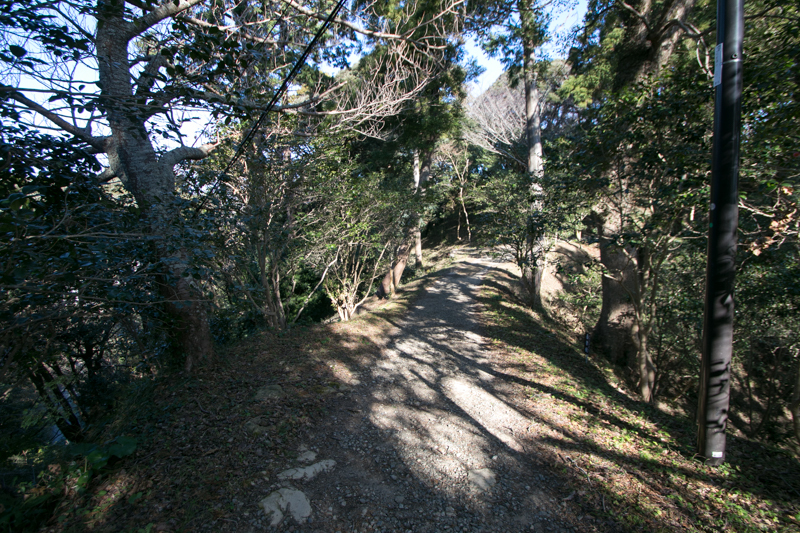 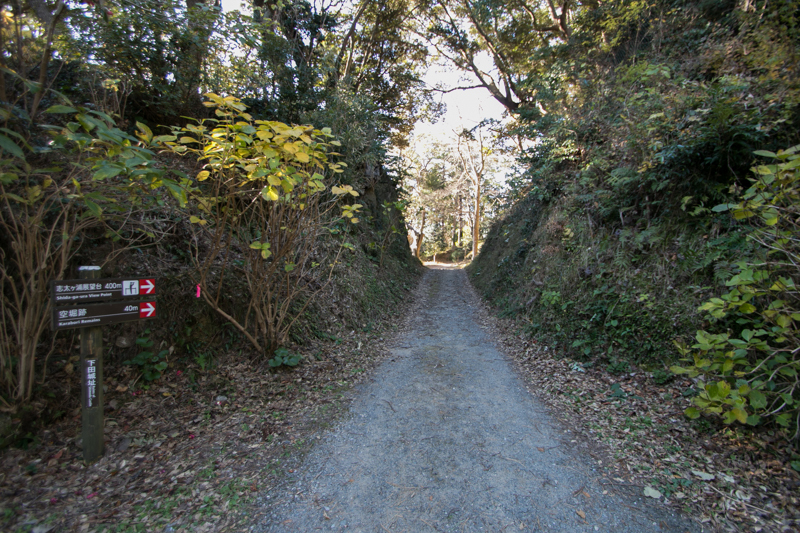 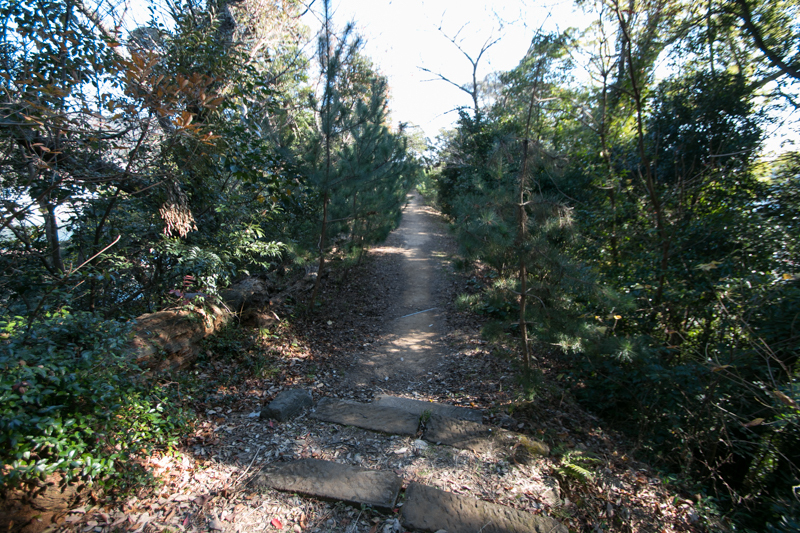 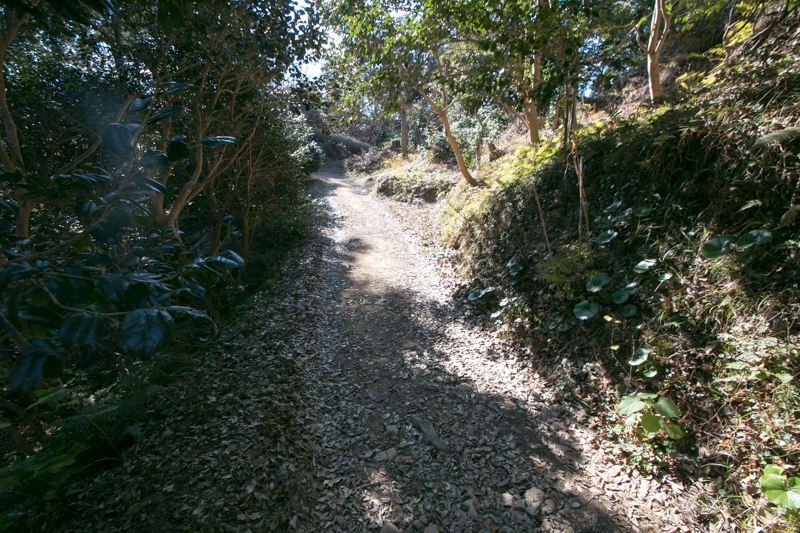 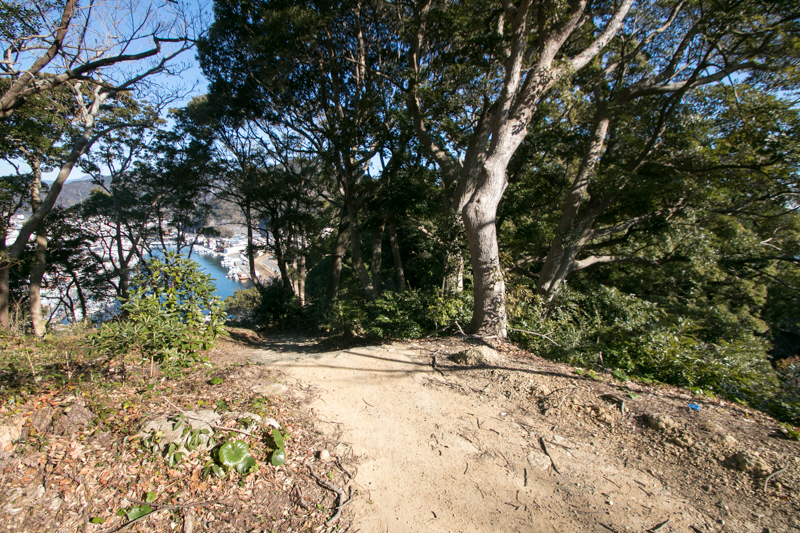 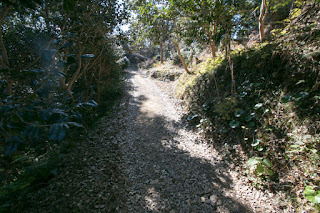 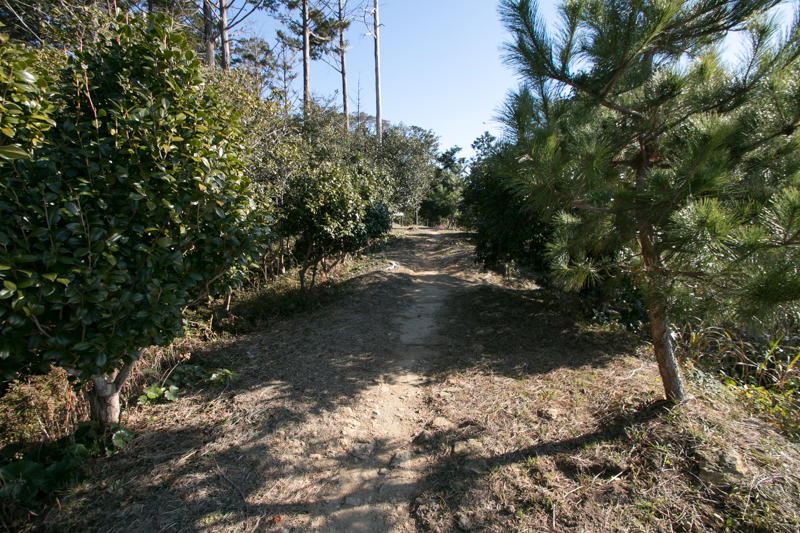 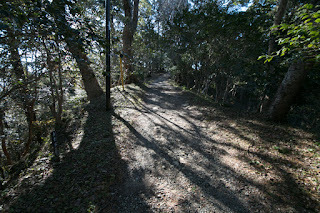 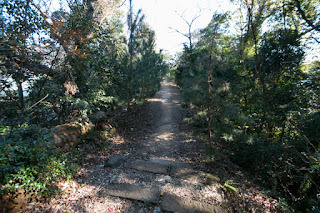 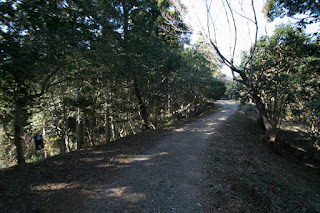 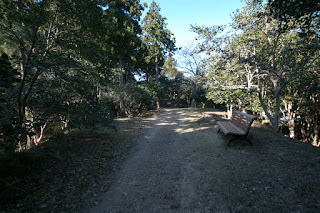 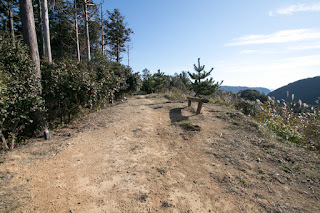 30 minutes walk from Izu-Kyuko line Shimoda station. 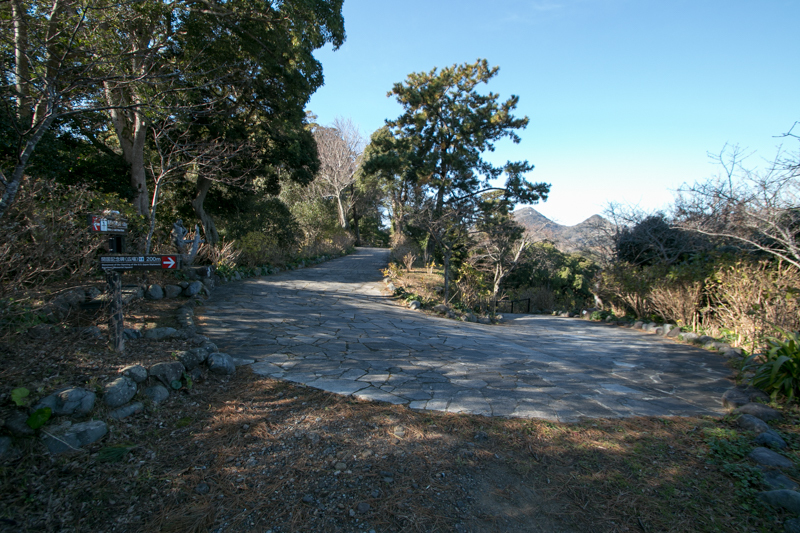 150 minutes drive from Tomei Expressway Numazu interchange.